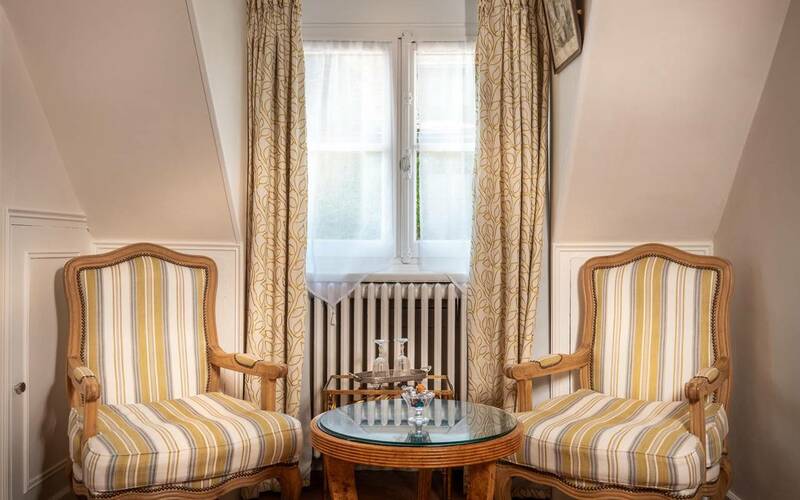 Le restaurant est ouvert tous les jours sauf le mardi au déjeuner. 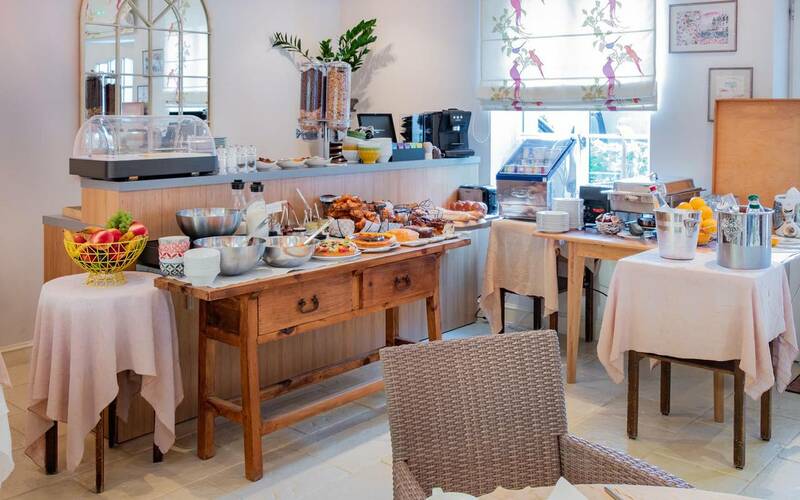 A delicious sweet and savoury buffet consisting of home-made and local produce – perfect for people of all ages, tastes and appetites. 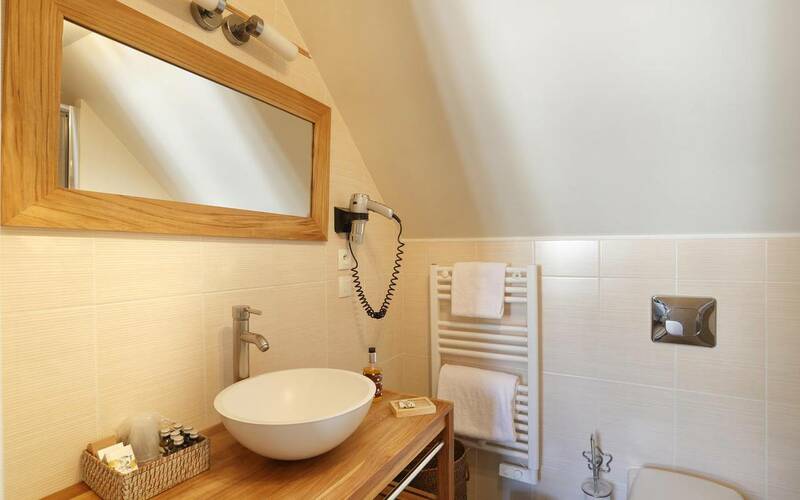 Smoked salmon, cold meats, sausages, cheese, eggs (cooked to order), seasonal fruit salad, dried fruit & nuts, pastries, freshly squeezed fruit juice, Bordier yoghurts and butter, cereals, crème caramel, organic honey, gluten-free and lactose-free options, gluten-free bread and cakes, etc. 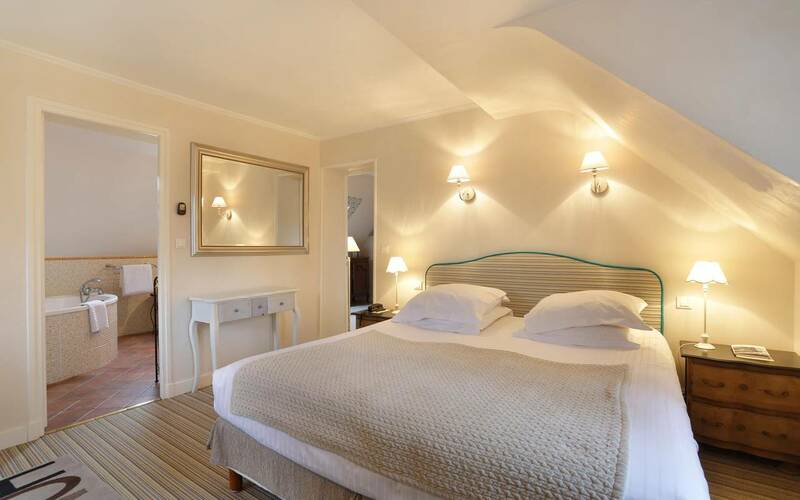 A moment of luxury to enjoy in the comfort of your room, in our dining room or in the tranquil garden. 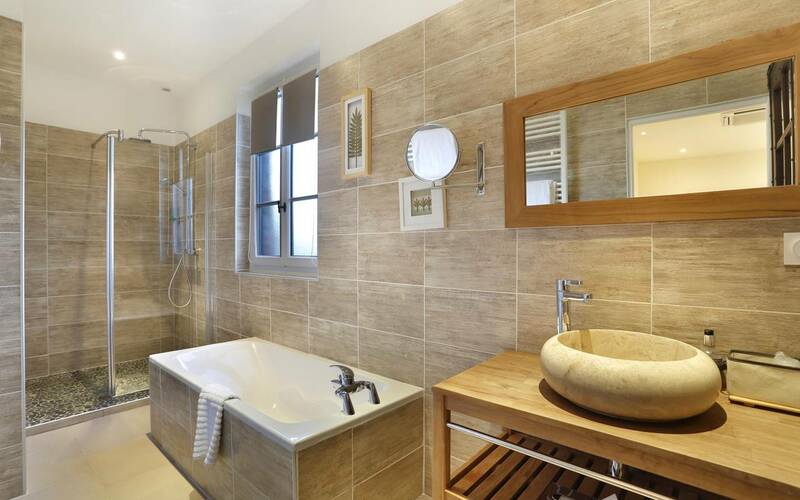 Start your day off the right way! 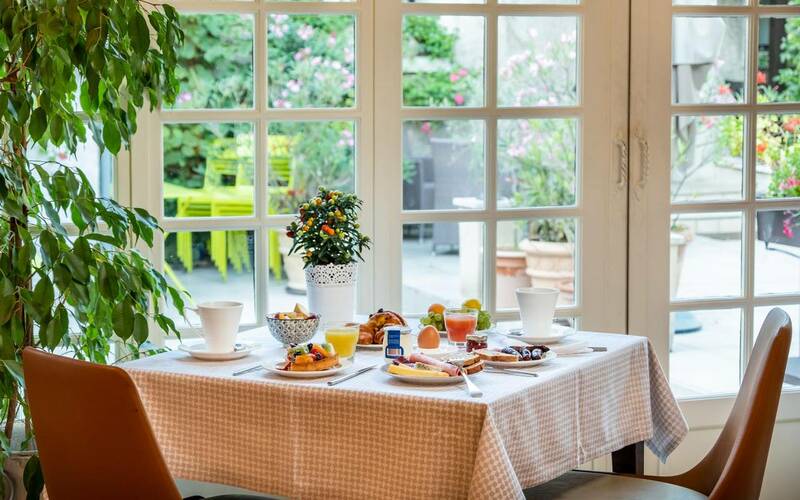 Fresh, crunchy baguette from the village bakery, pastries, home-made preserves, freshly squeezed orange juice – breakfast the French way! 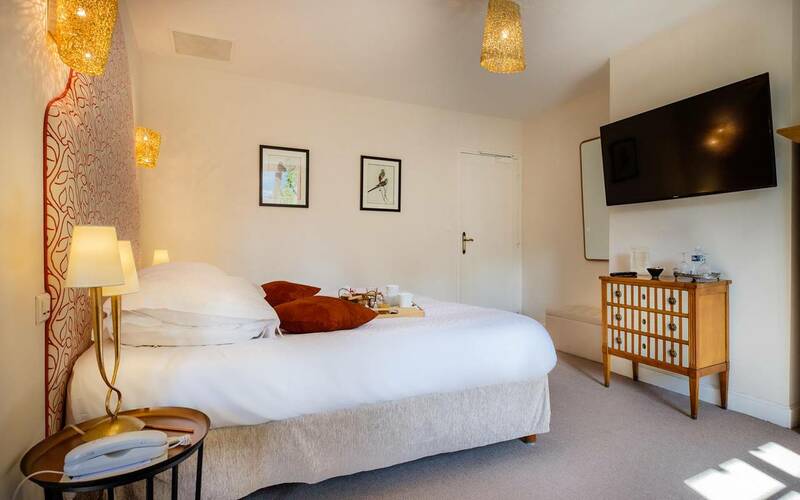 Great customer service, lovely-looking food, delicious and exciting dishes, congratulations to the chef for his creativity, not a bad word to say about the service. 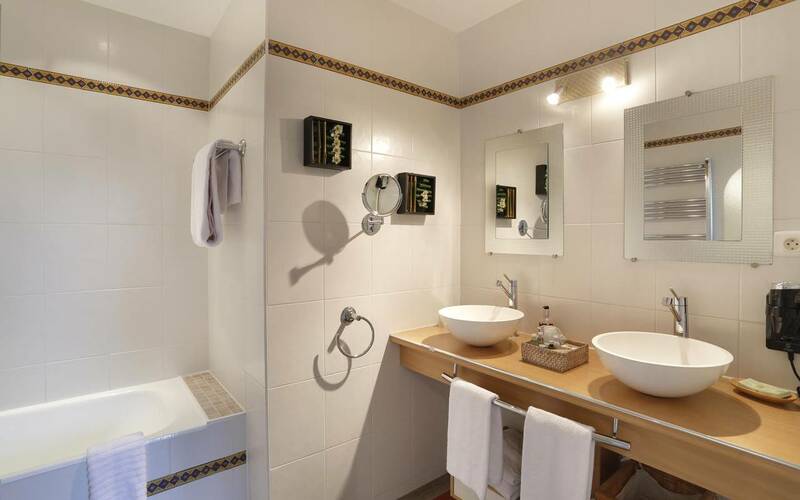 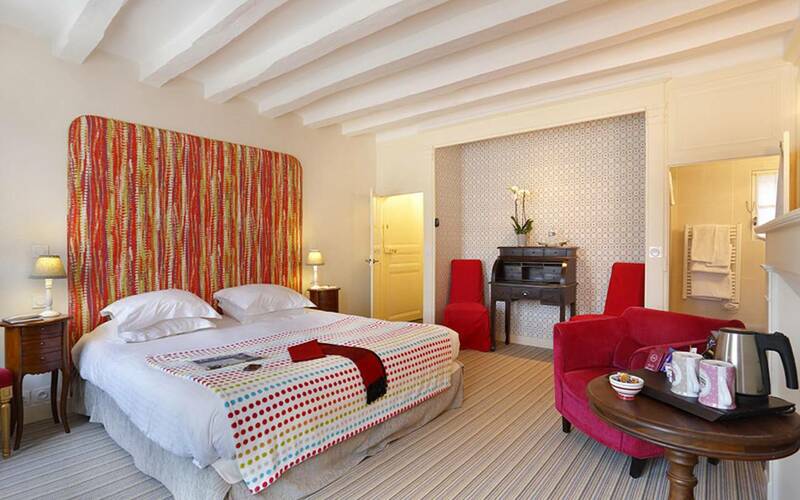 Spacious and well-equipped rooms, a great pool, and tastefully decorated lounges and outdoor spaces. 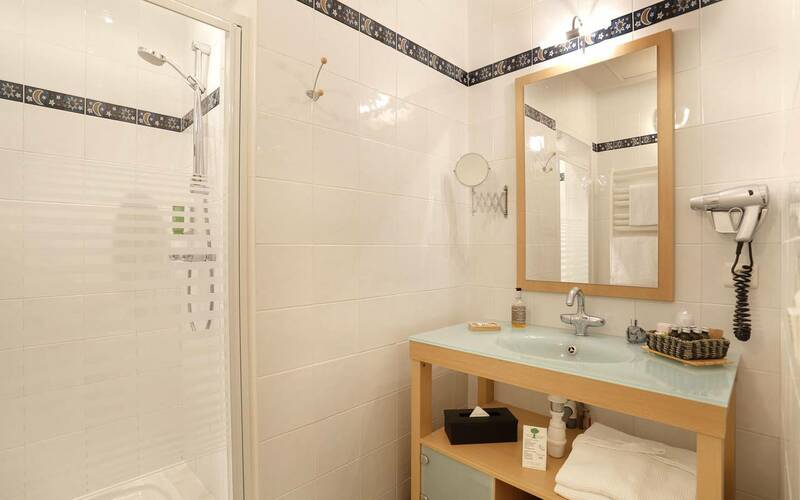 Friendly, attentive staff. 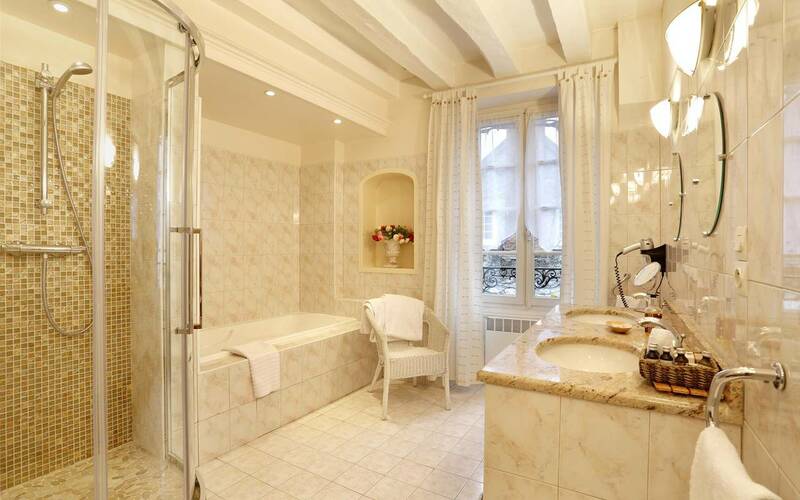 Thanks for this fabulous place: buildings, gardens, everything is perfect. 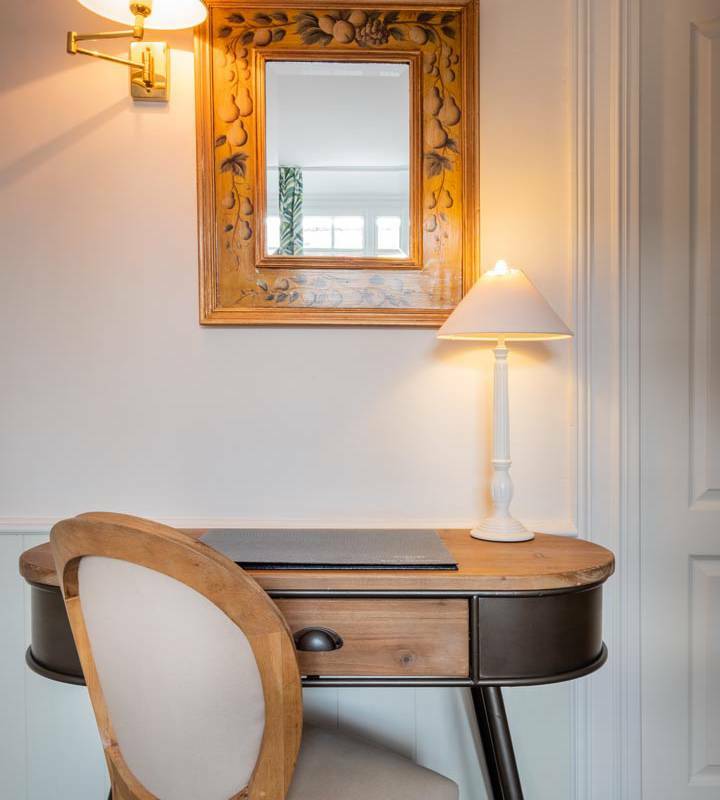 Charming views over the flower-lined gardens and countryside, a charming country chic ambiance with blends of soft colours, subtle, refined decor and those all-important touches of comfort. 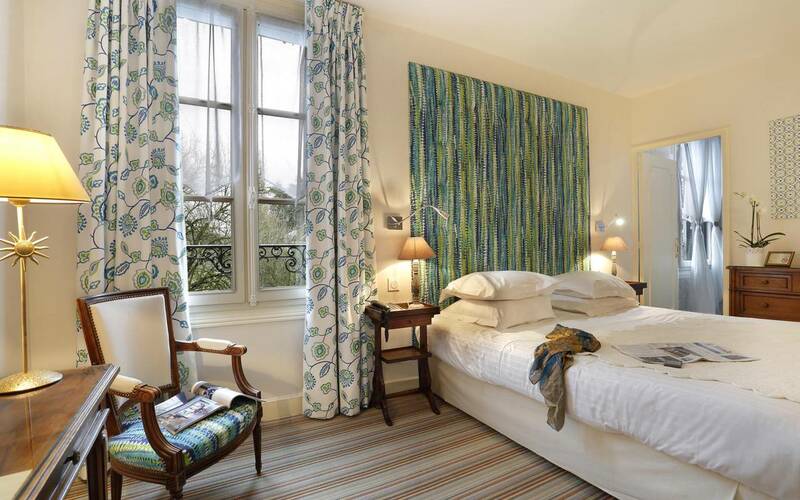 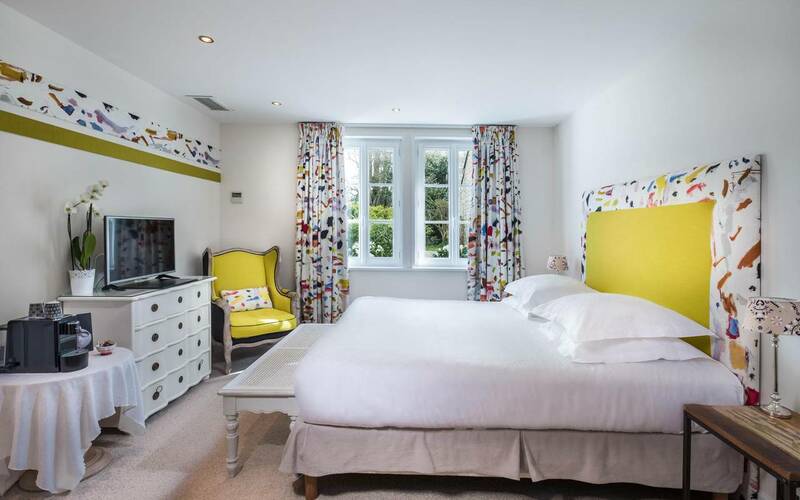 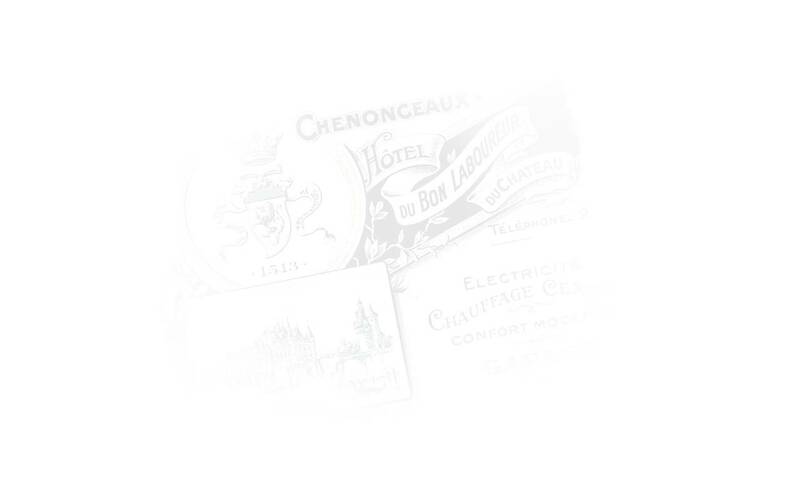 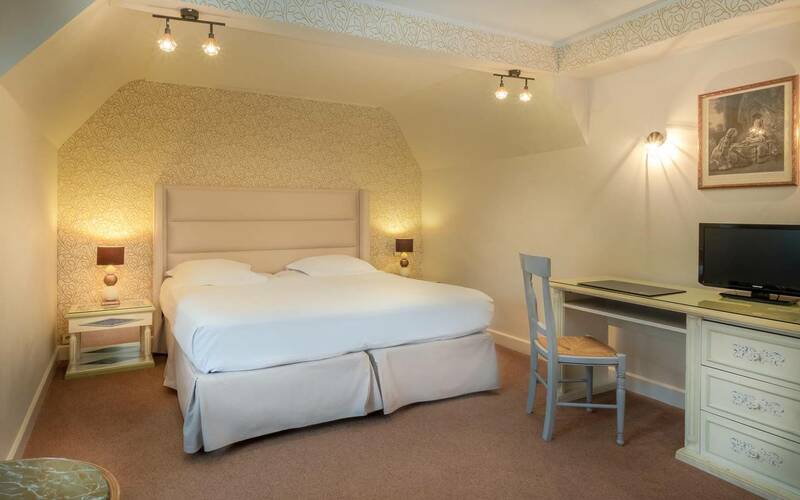 The eponymous rooms are modelled on Touraine and our home. 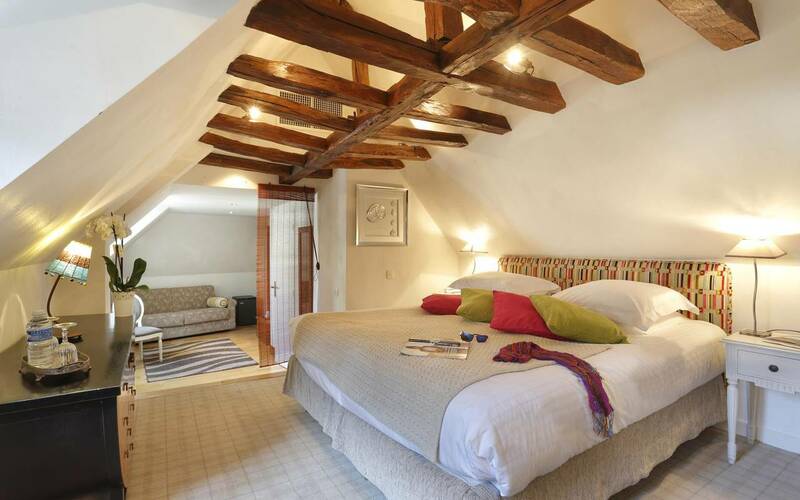 Enjoy simple luxury, rest and tranquillity during your stay. 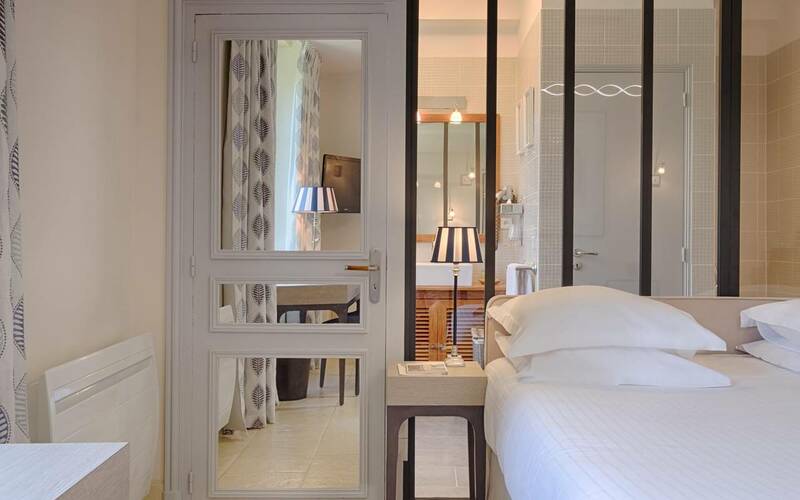 Our Privilege rooms, spread across our various buildings, are spacious and decorated in country chic style. 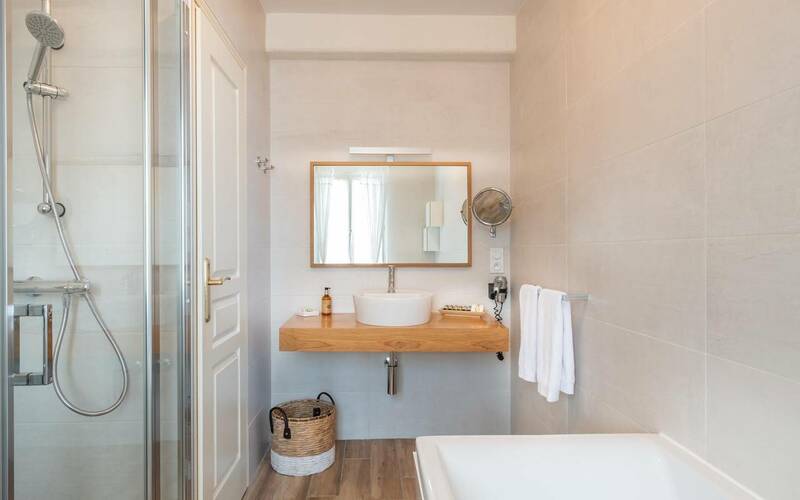 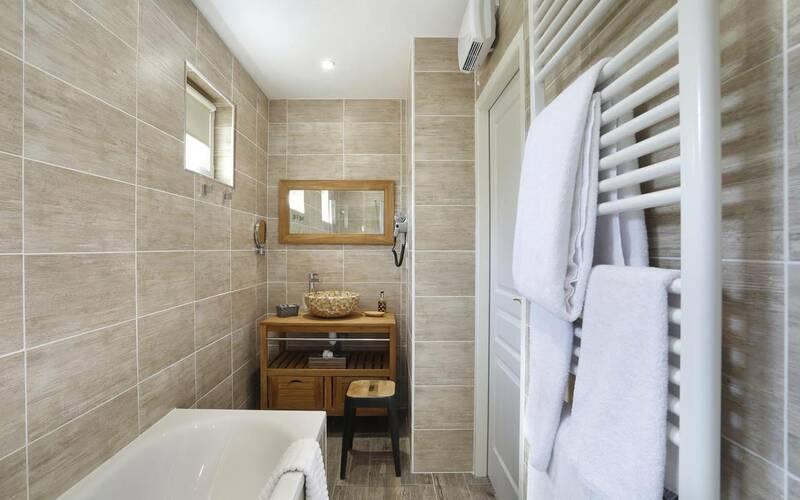 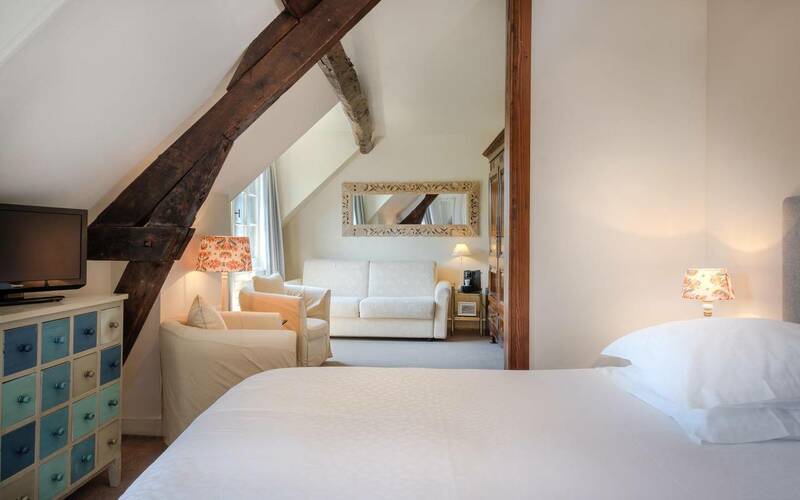 Situated on the first and ground floors, each one is a haven of tranquillity close to nature, boasting a calming, rustic ambiance matched by the discreet, part-traditional, part-modern décor. 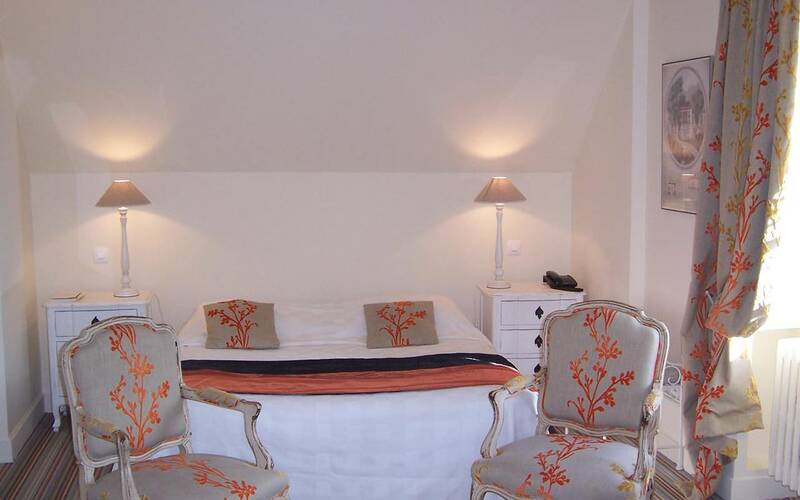 A peaceful, relaxing and comfortable stay guaranteed. 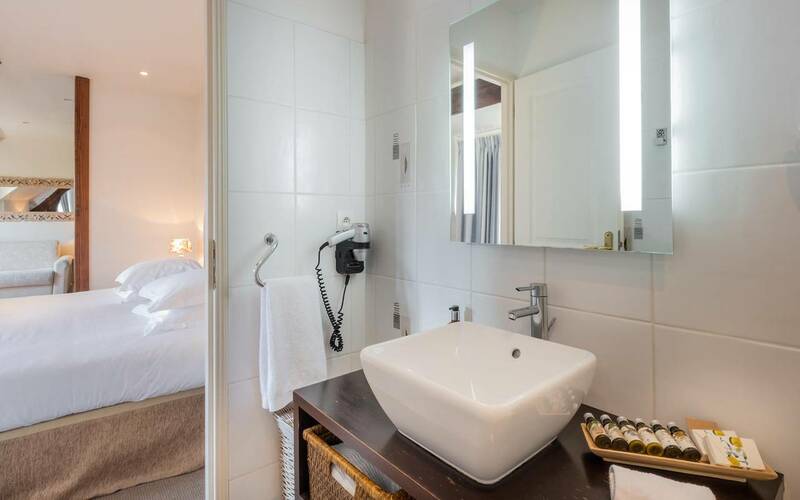 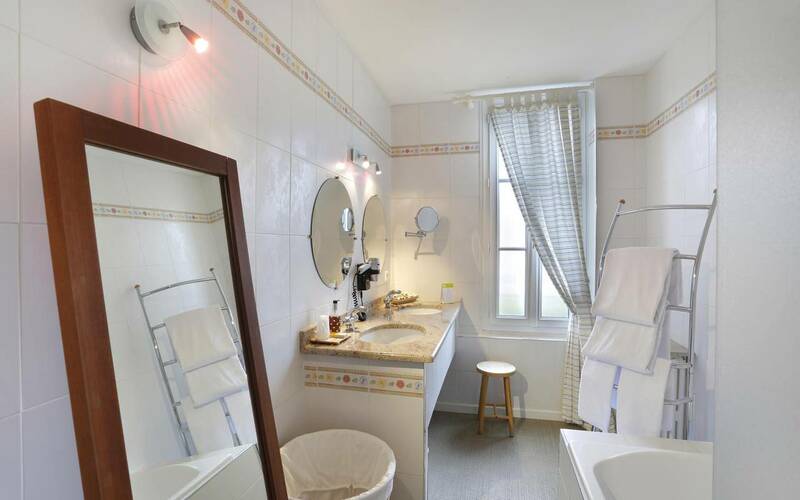 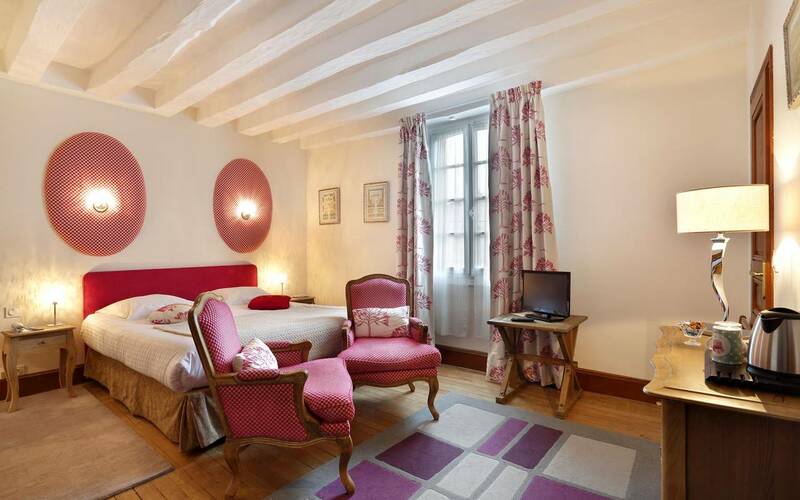 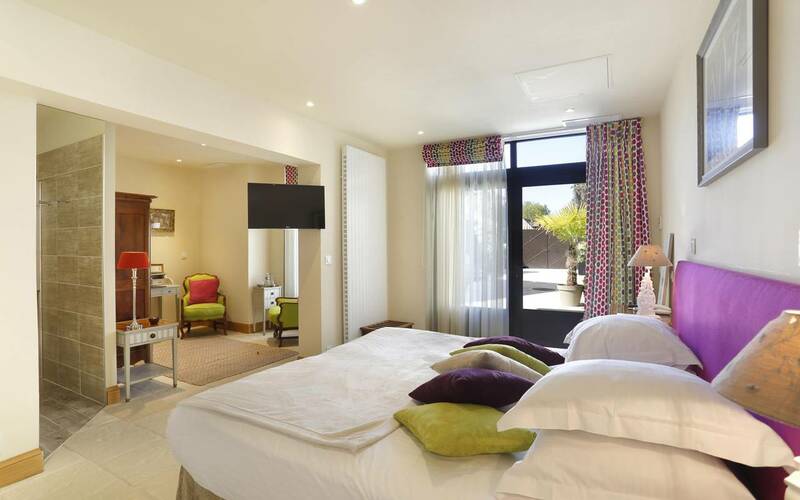 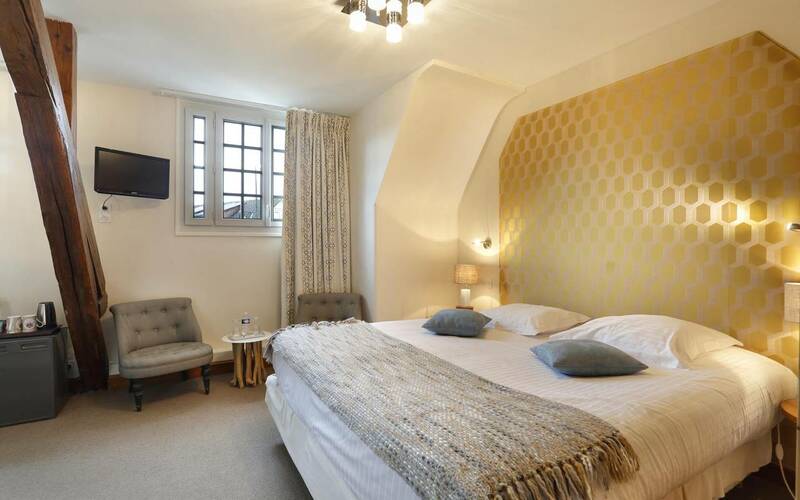 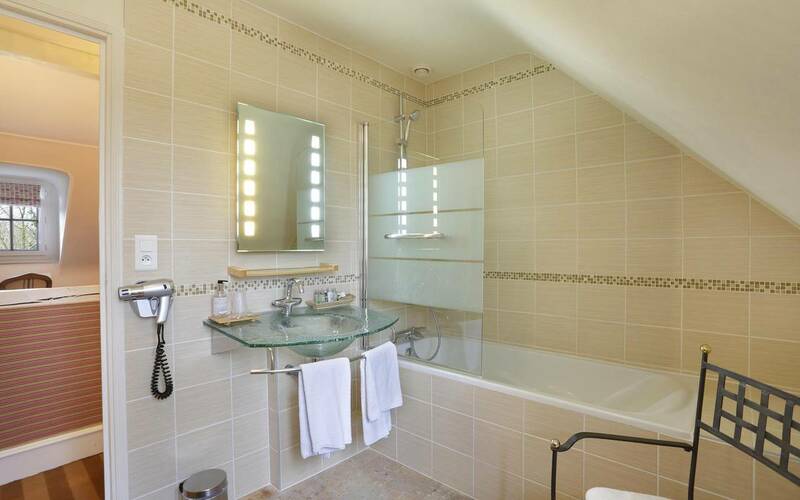 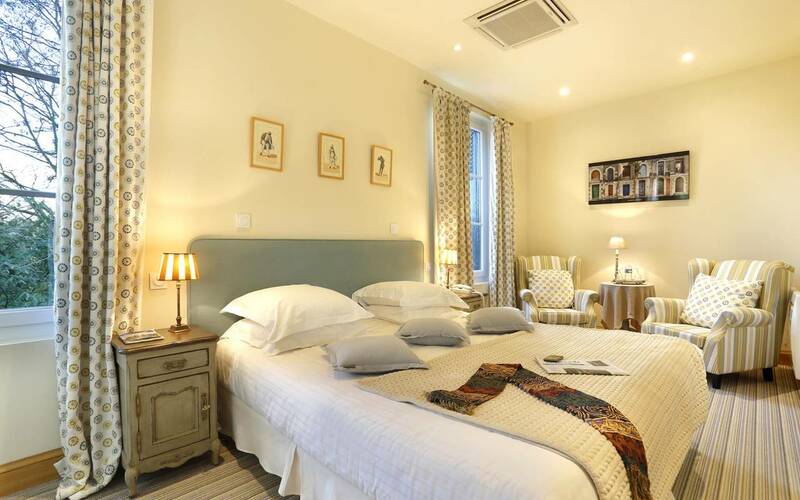 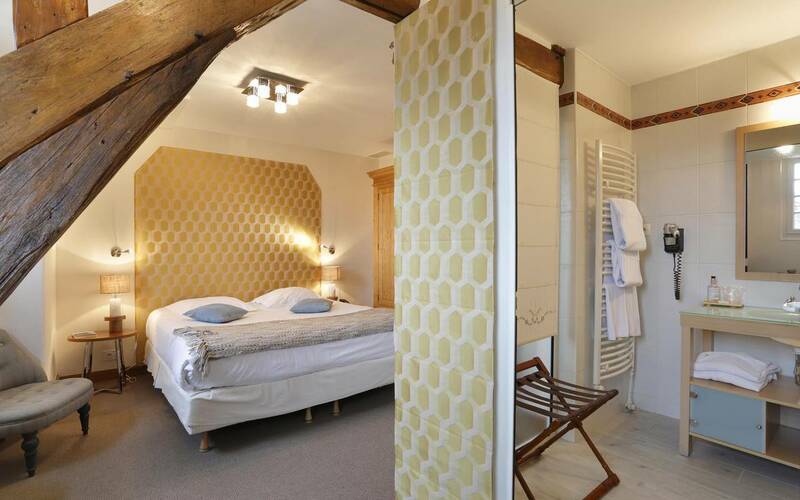 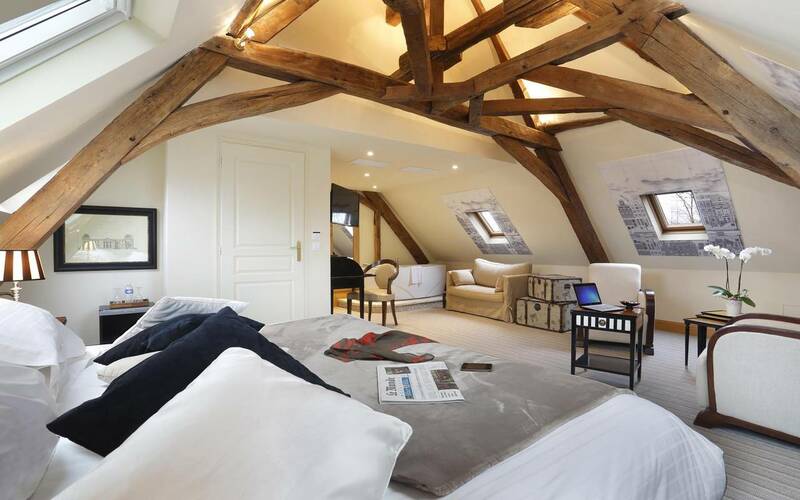 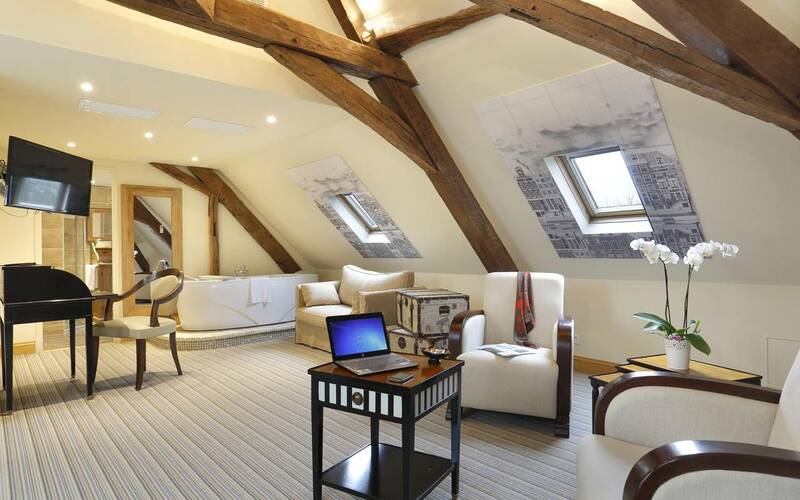 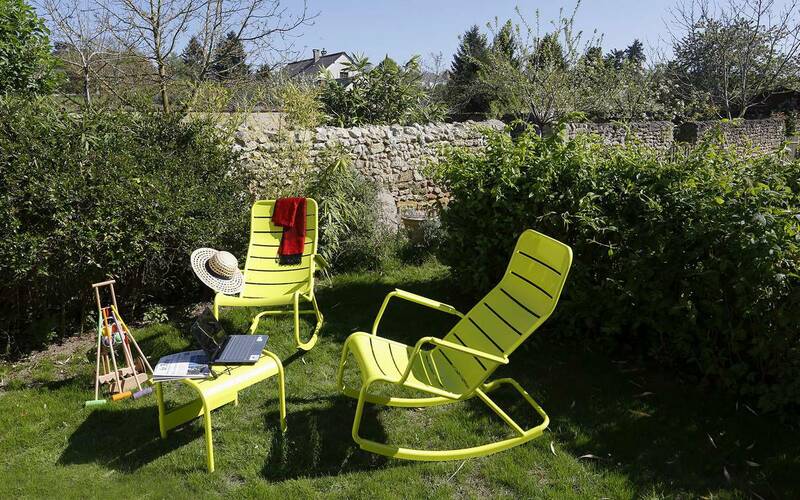 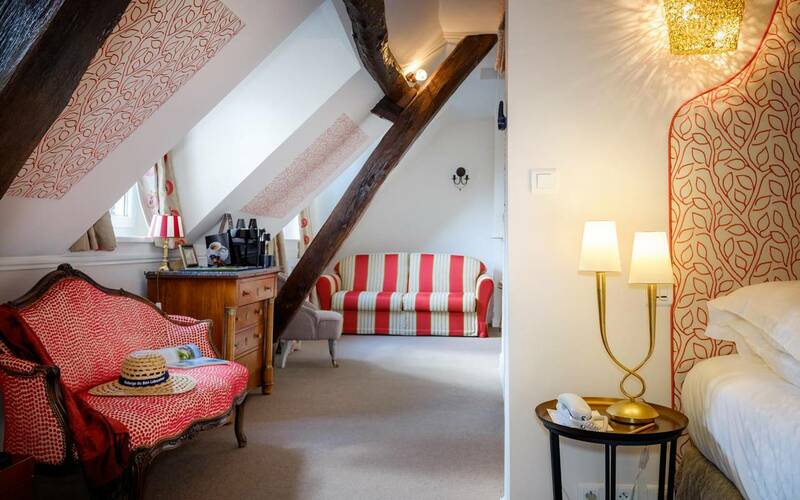 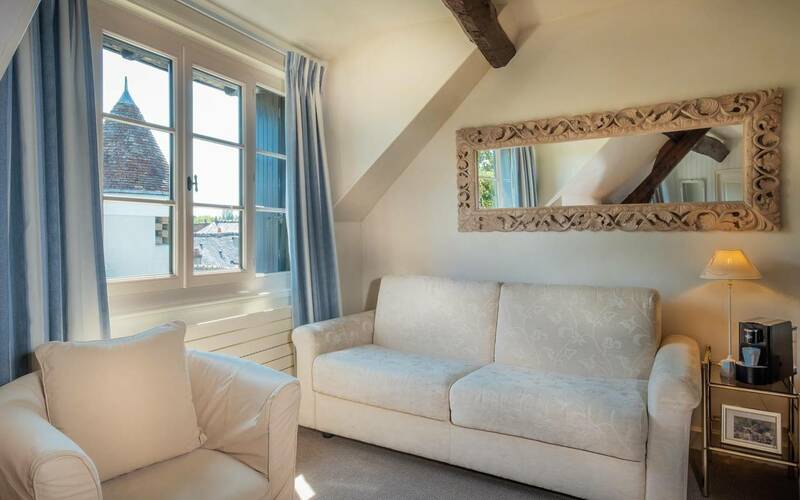 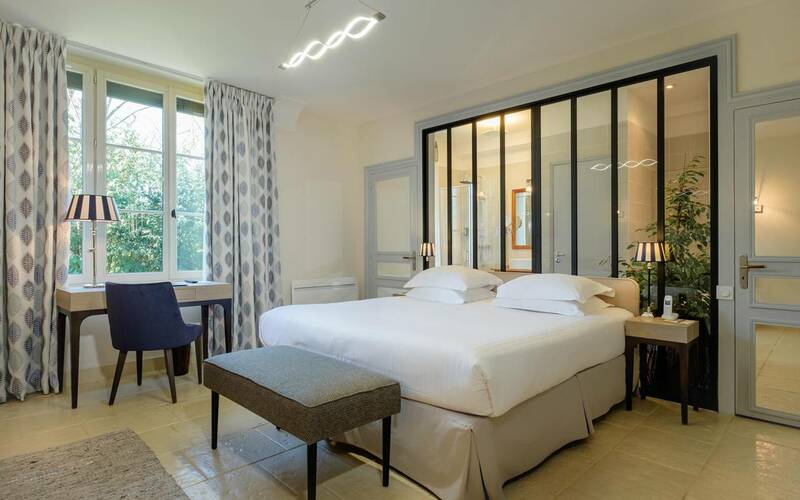 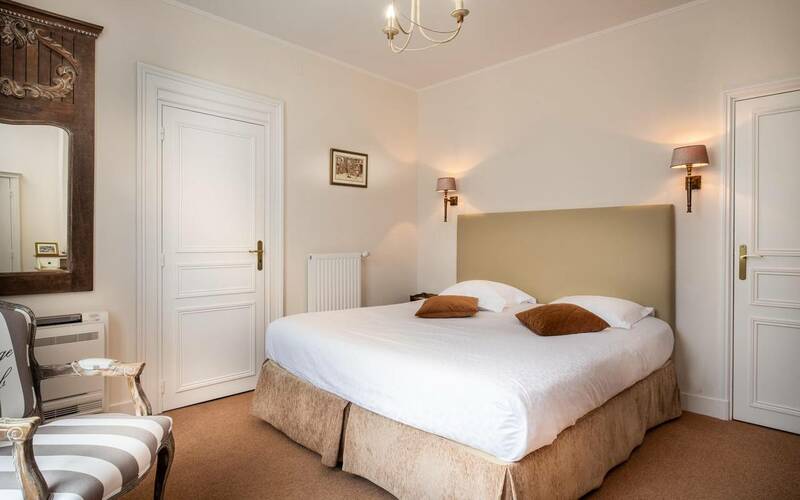 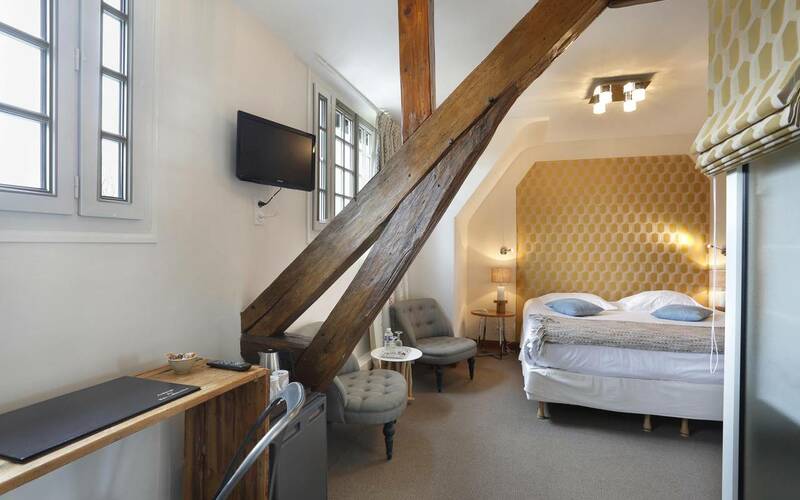 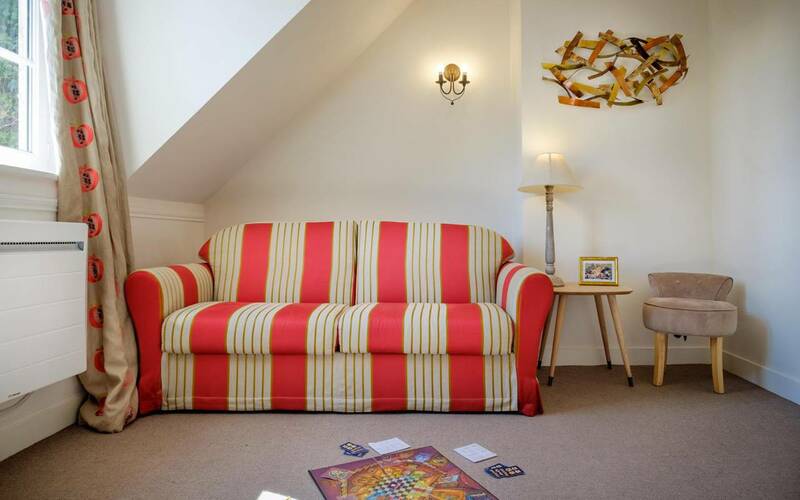 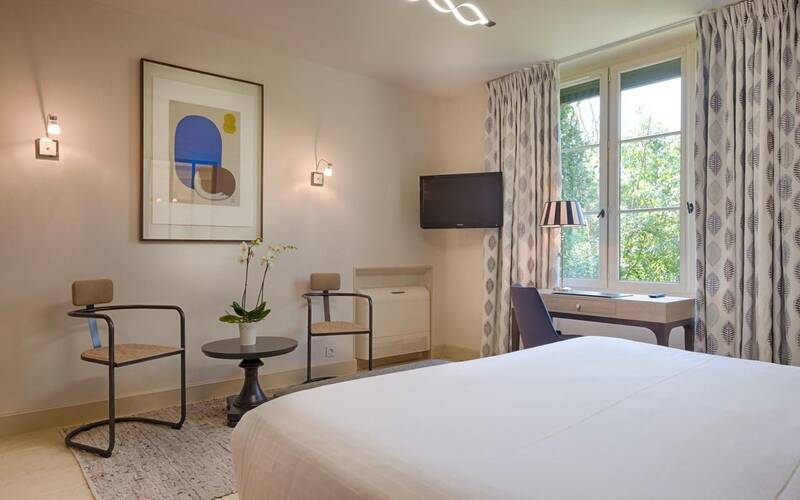 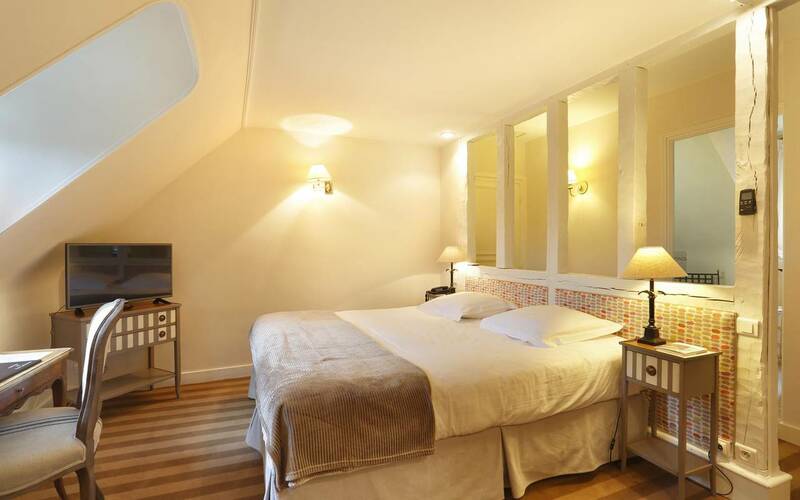 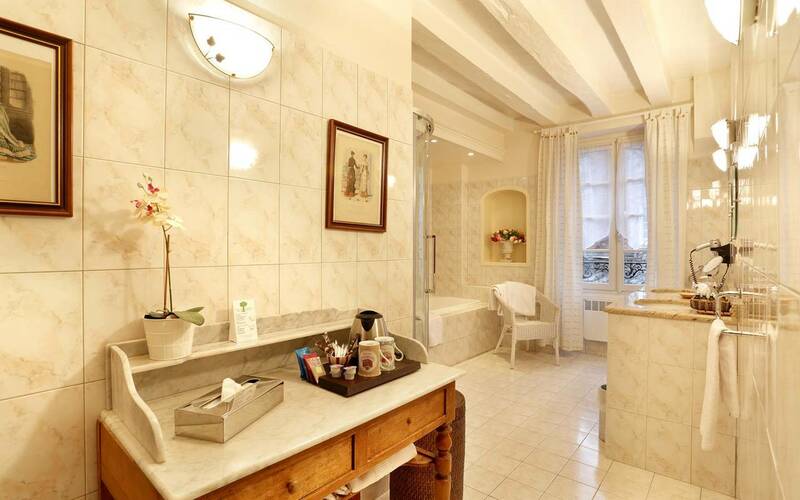 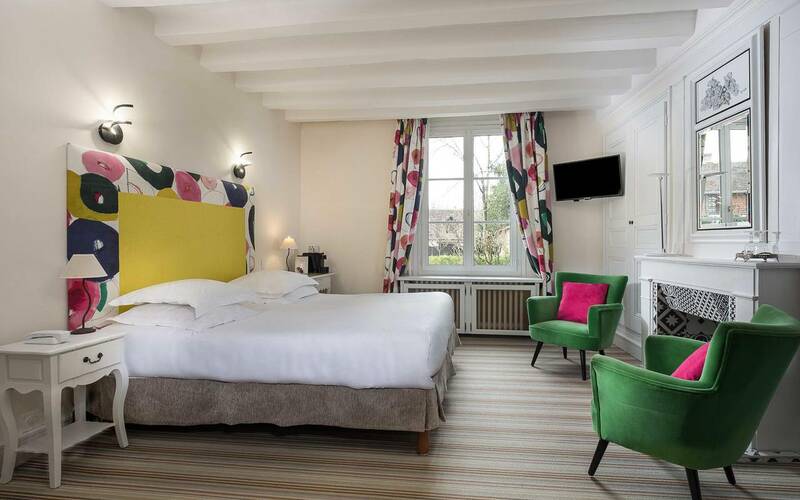 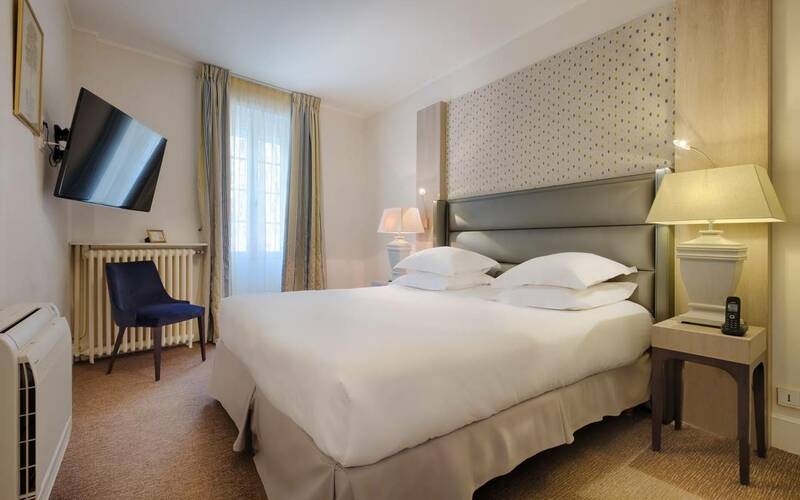 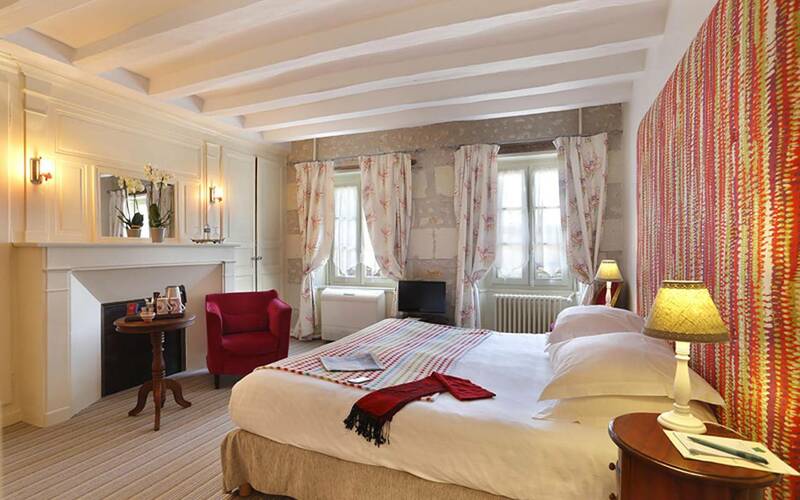 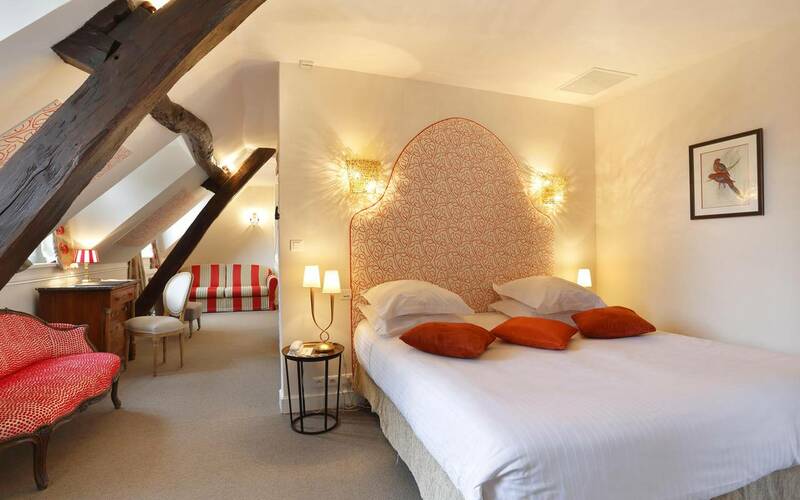 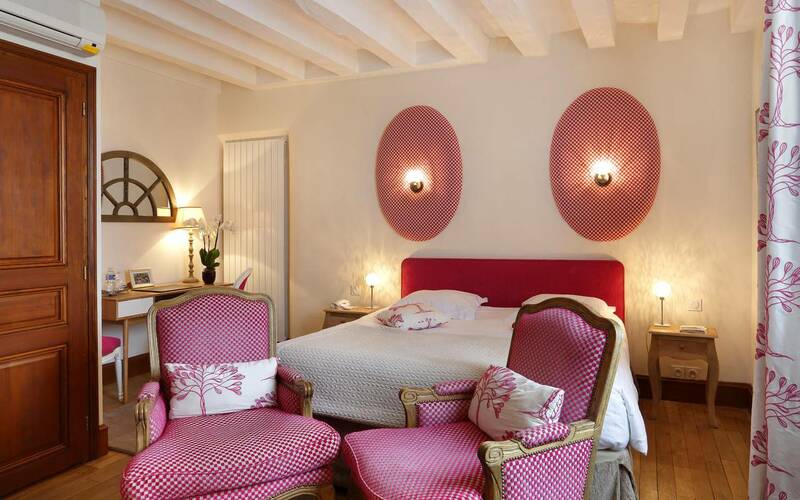 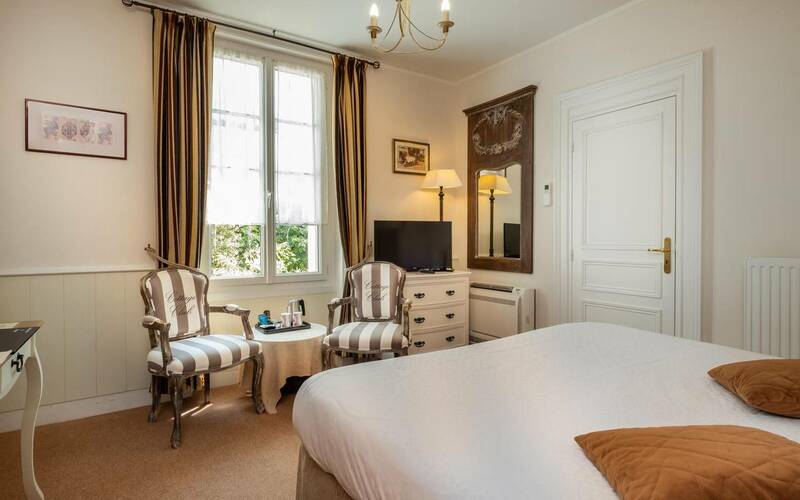 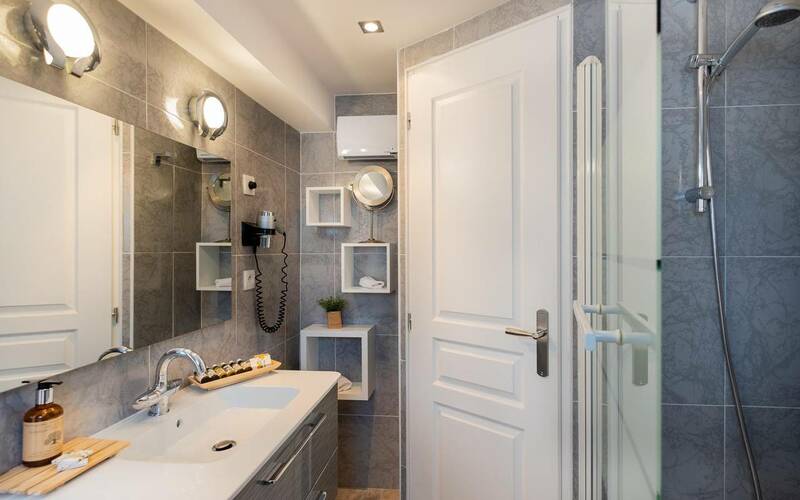 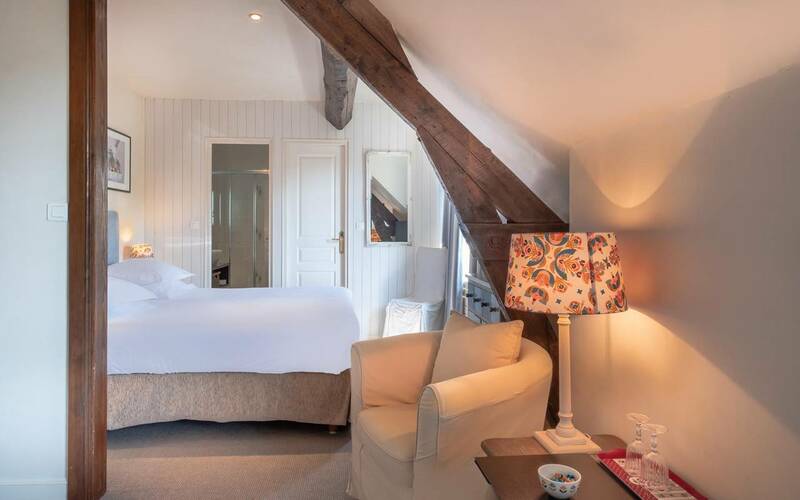 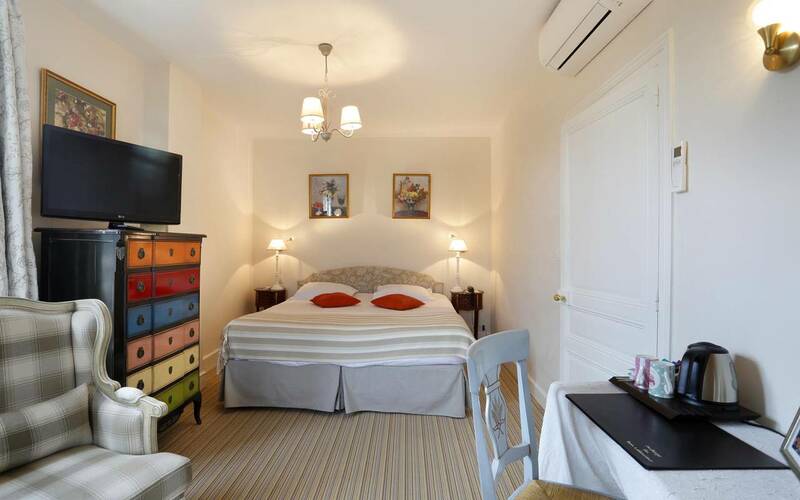 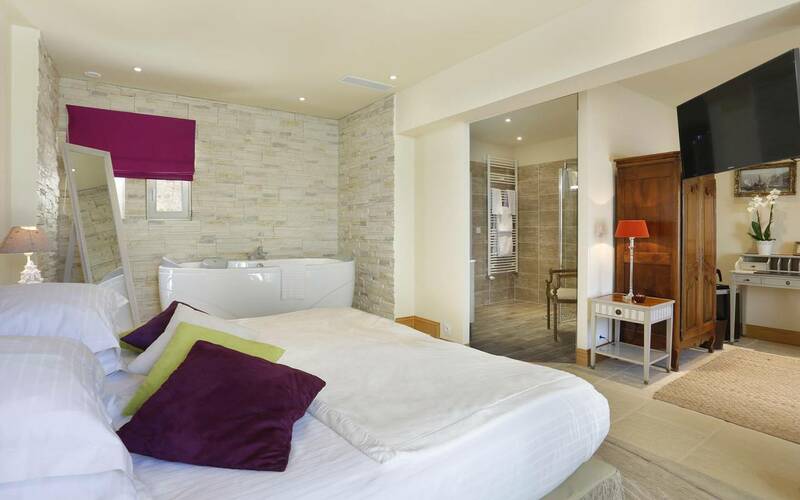 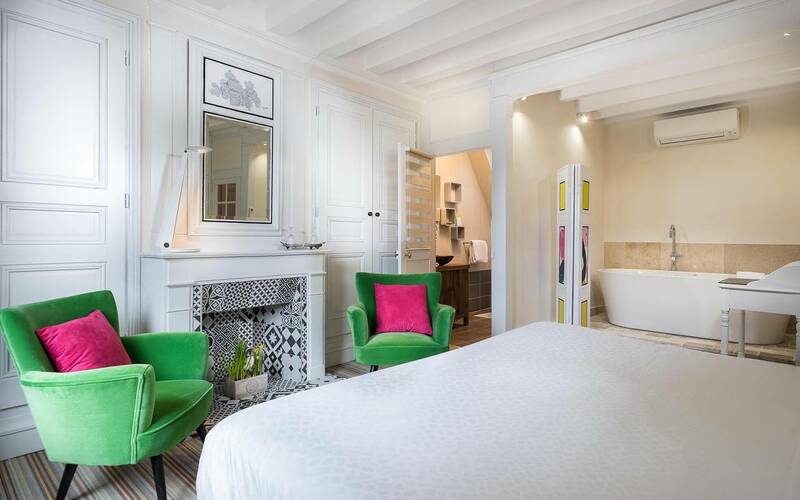 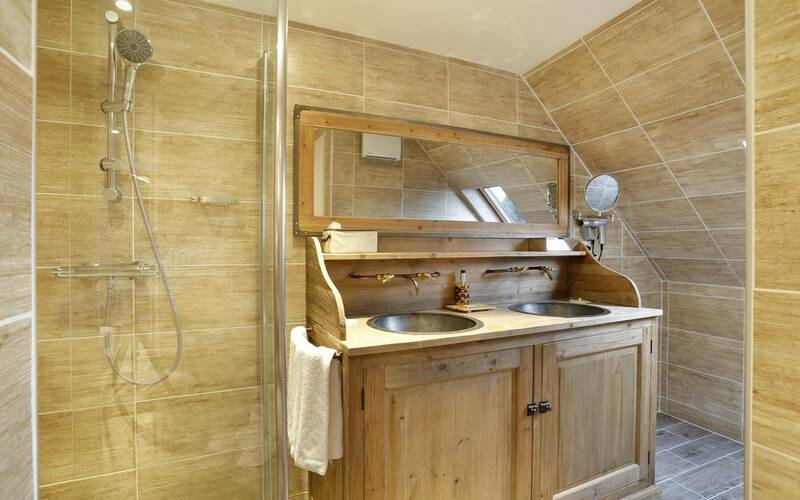 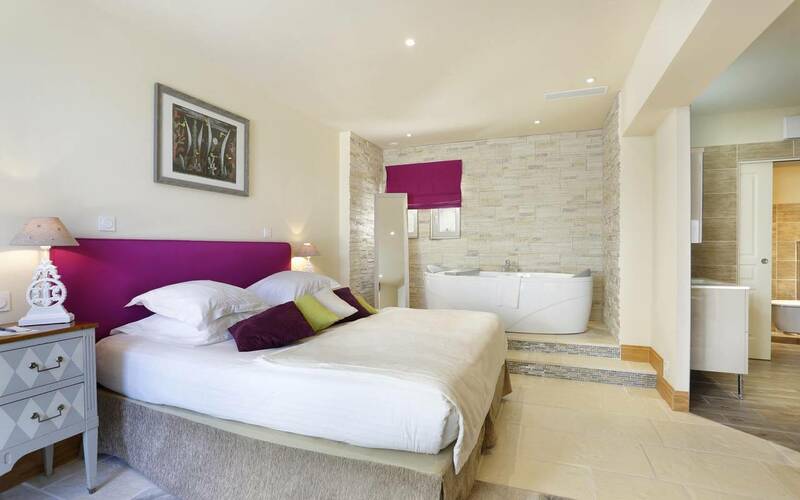 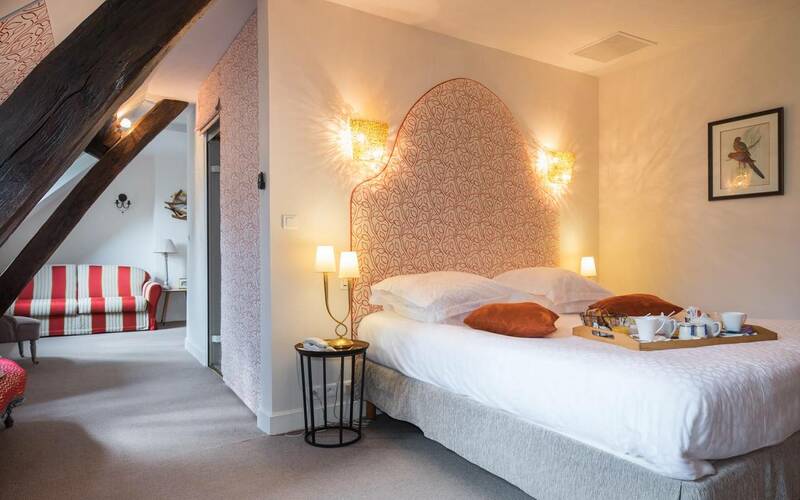 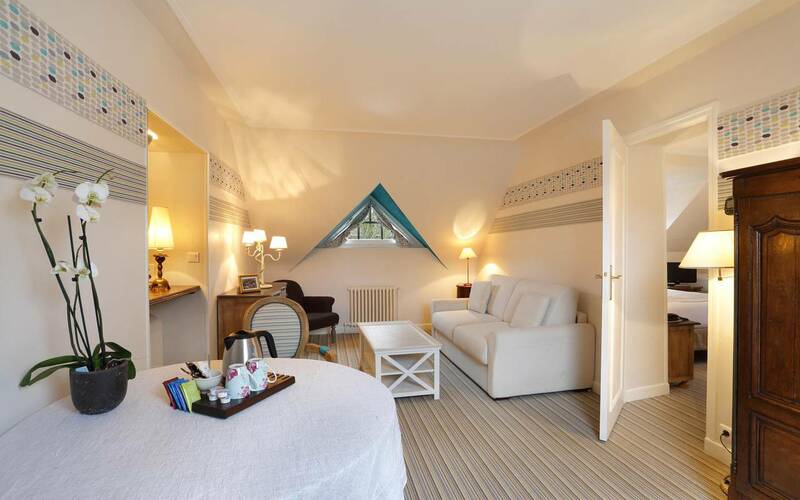 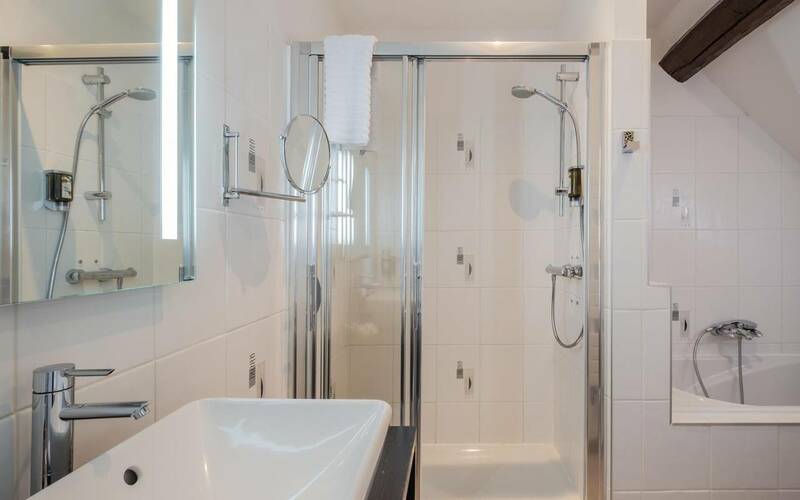 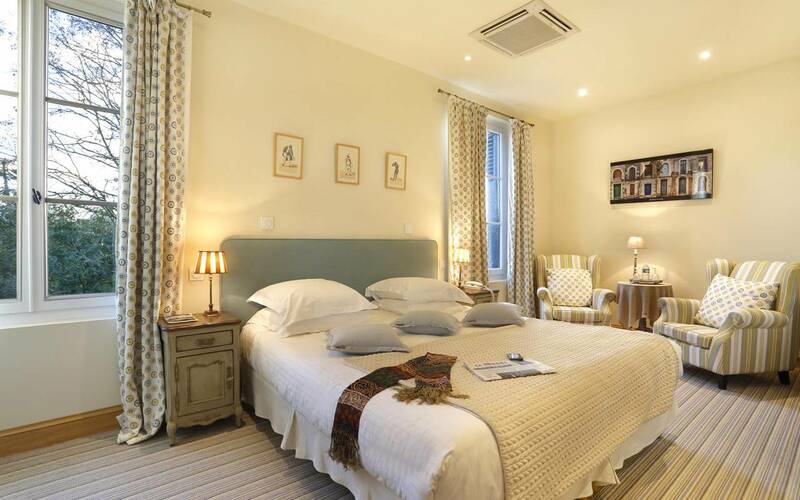 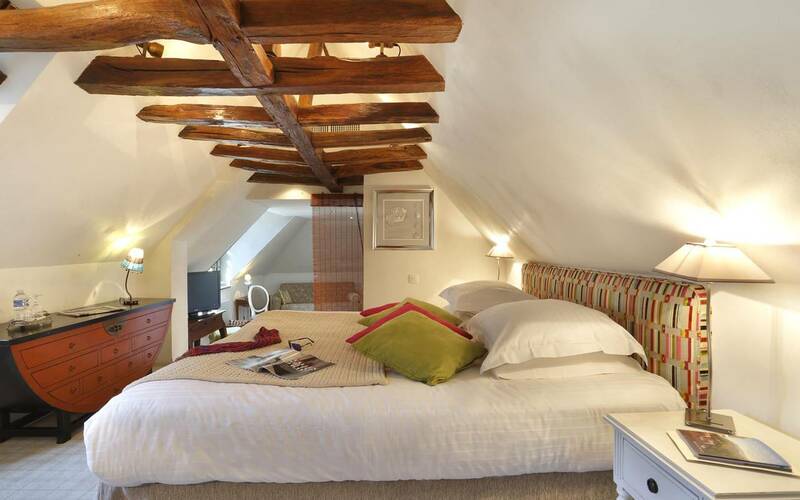 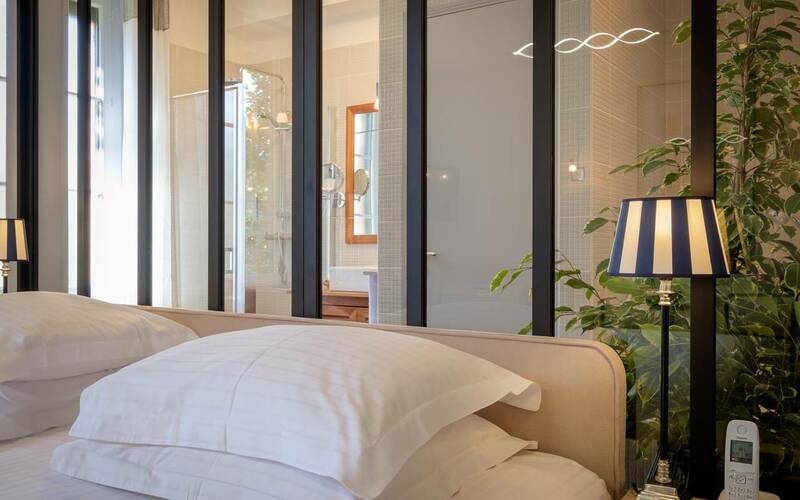 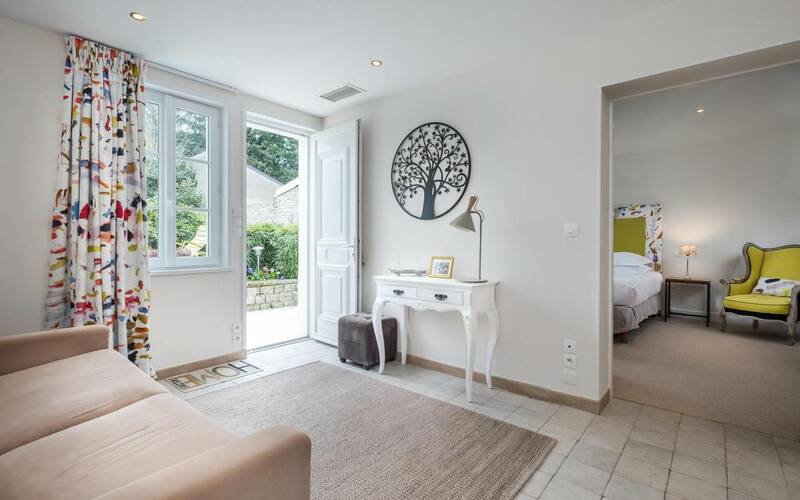 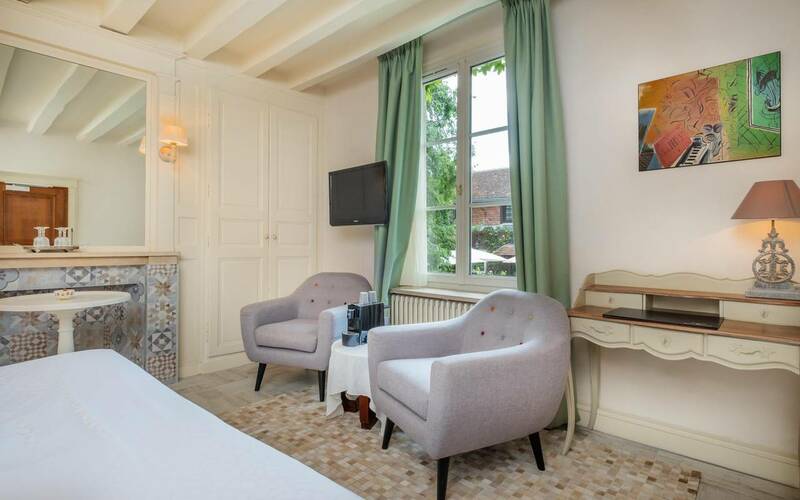 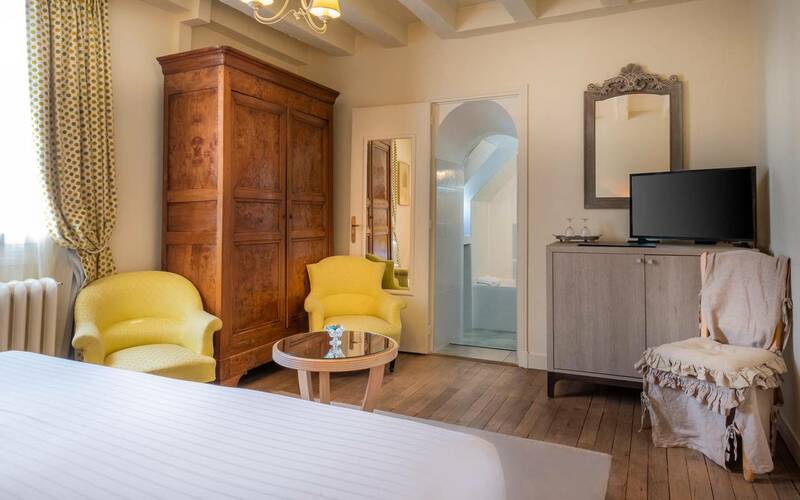 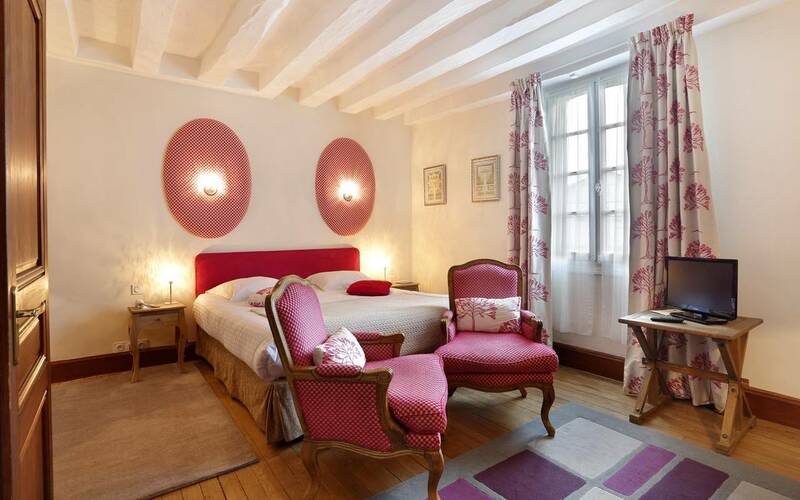 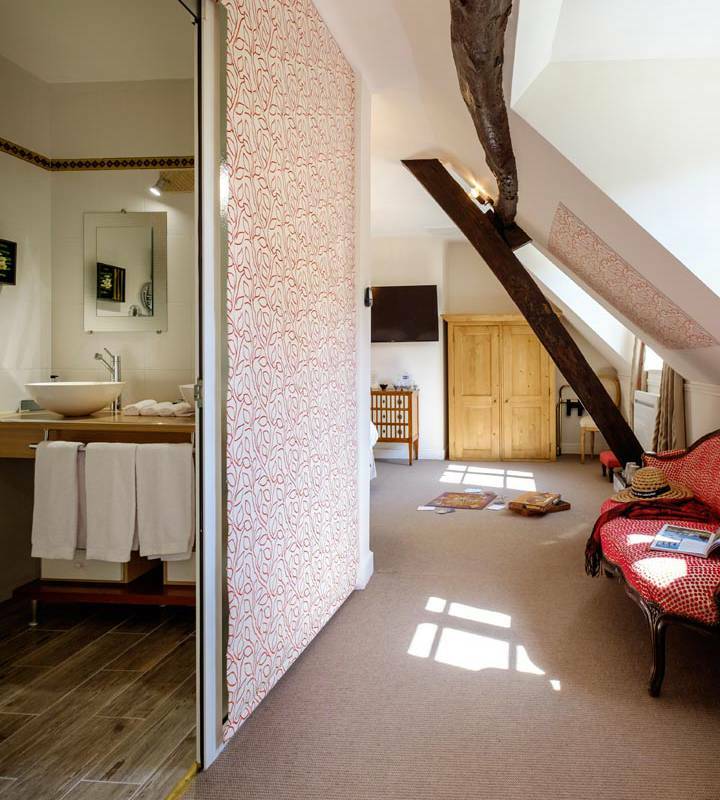 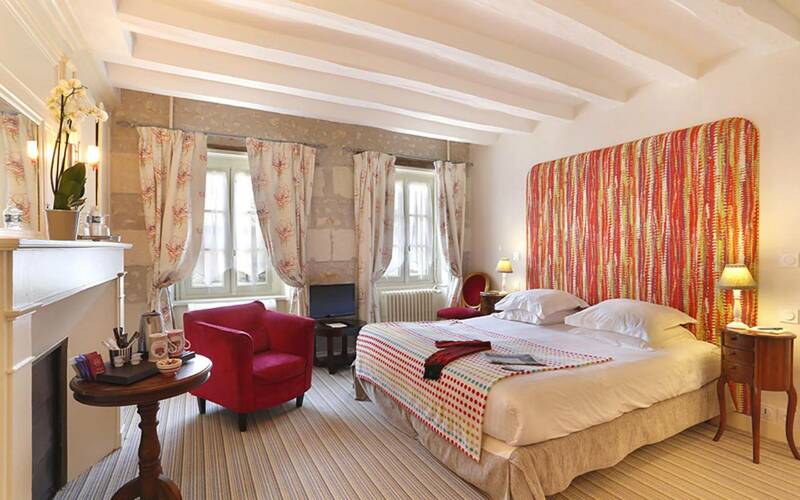 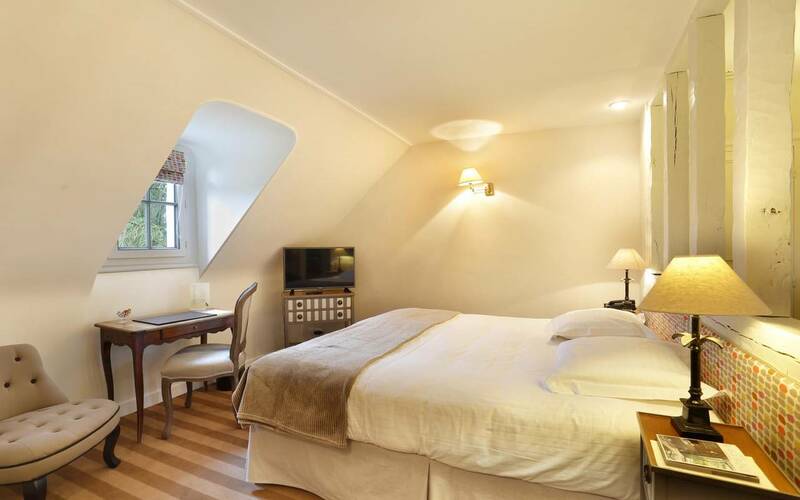 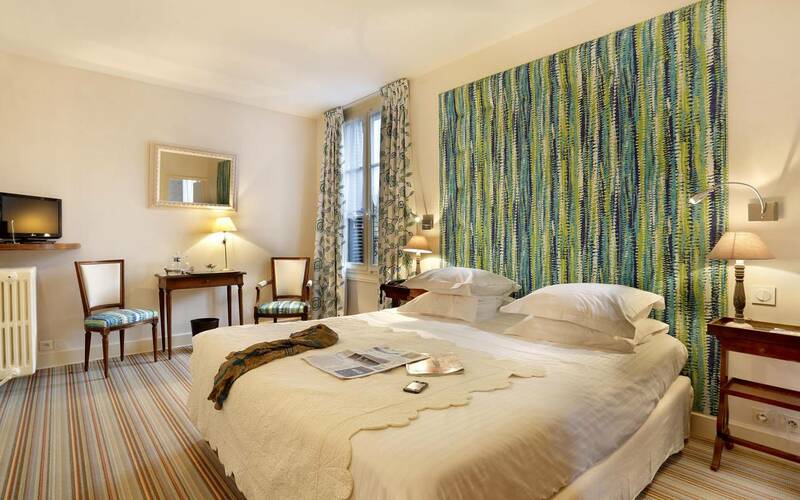 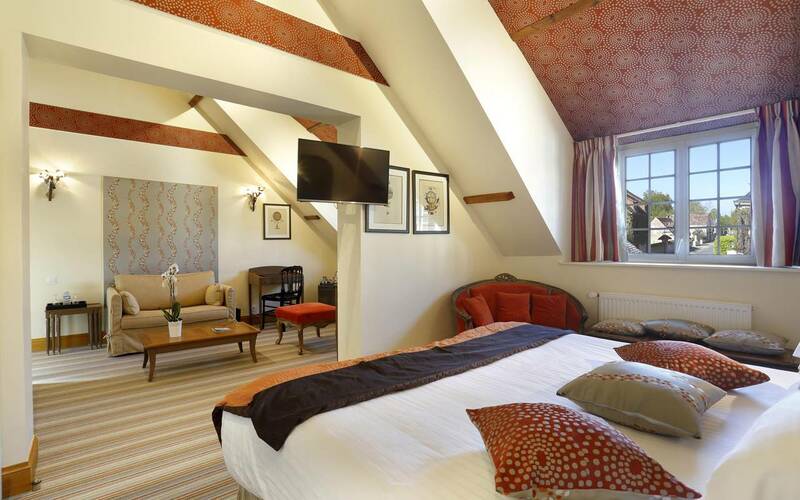 The hotel’s nine suites each feature a bedroom and separate lounge – plenty of space for couples or families looking to make the most of their stay in Touraine. 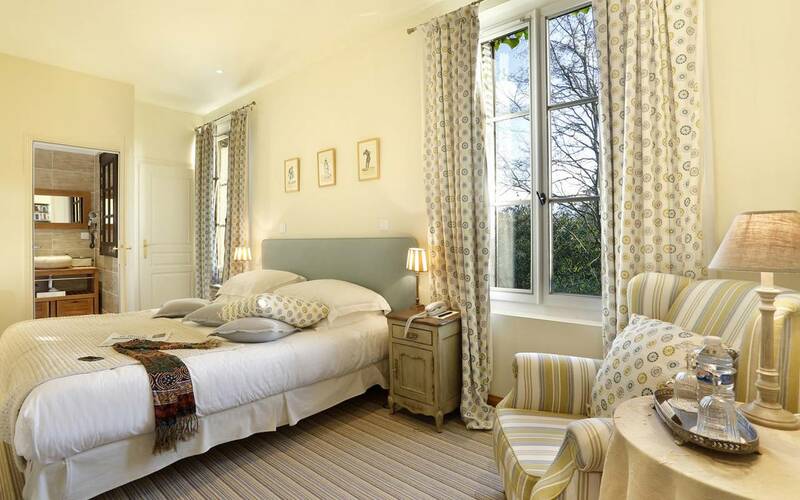 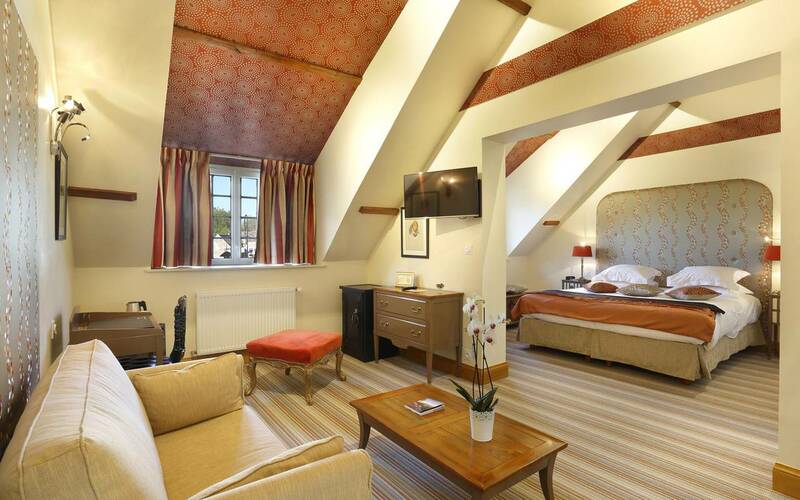 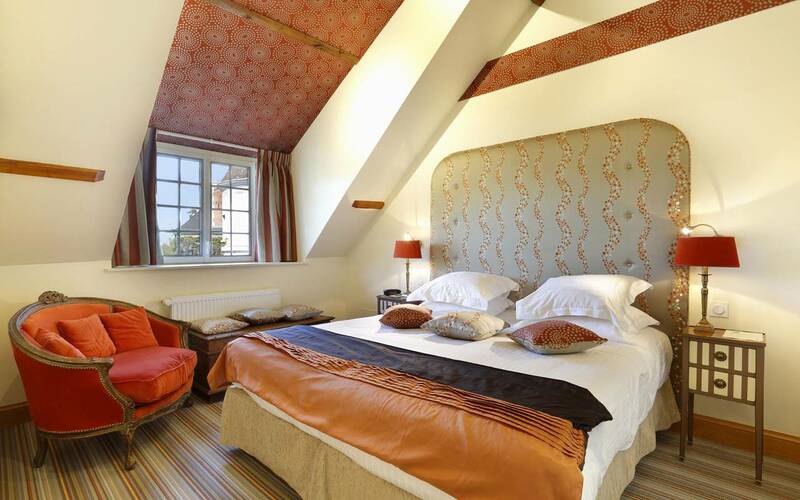 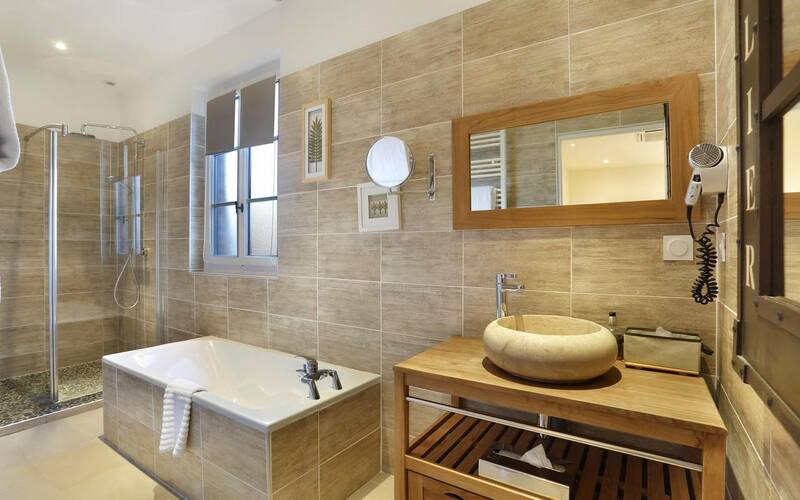 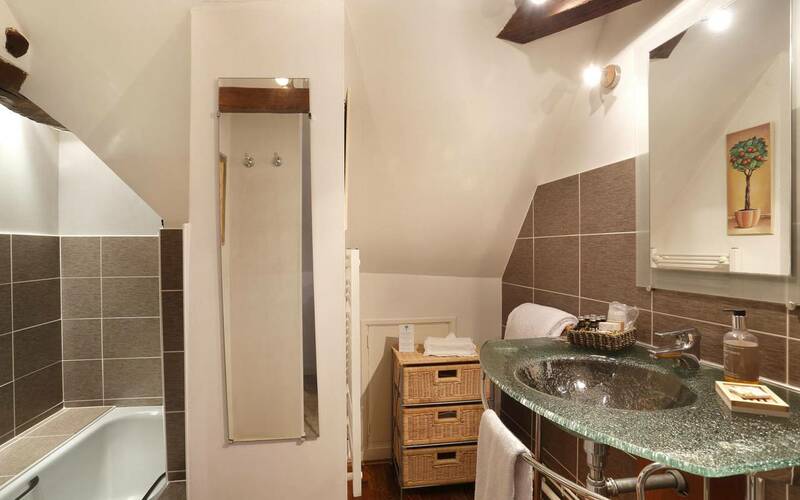 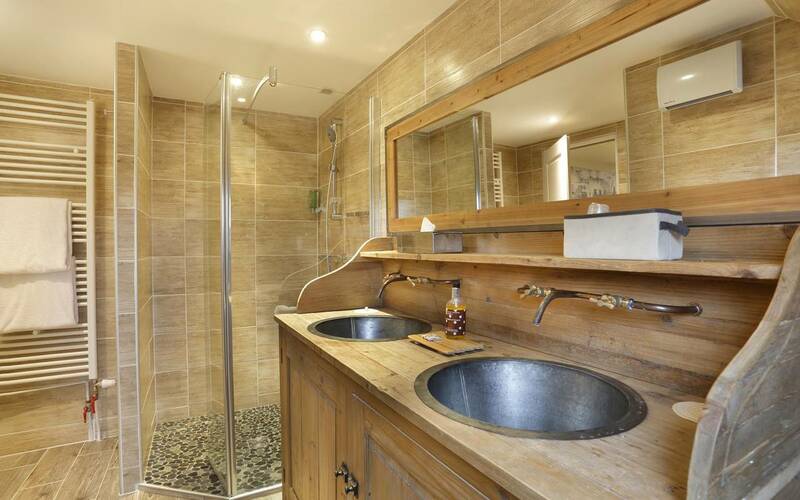 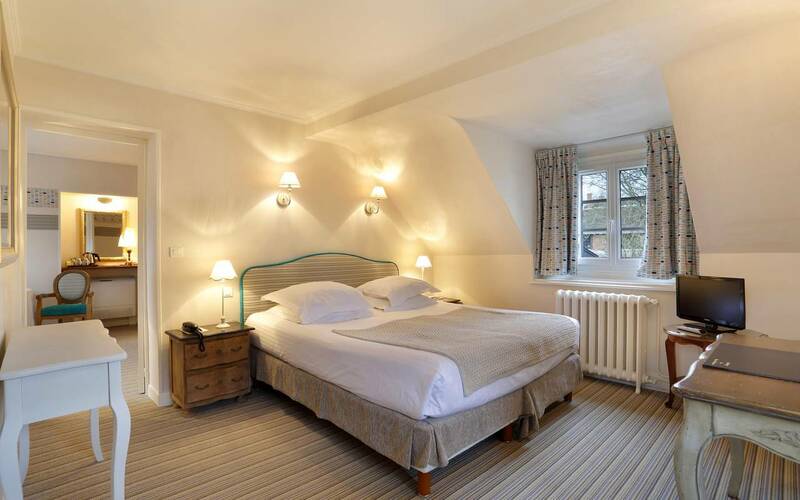 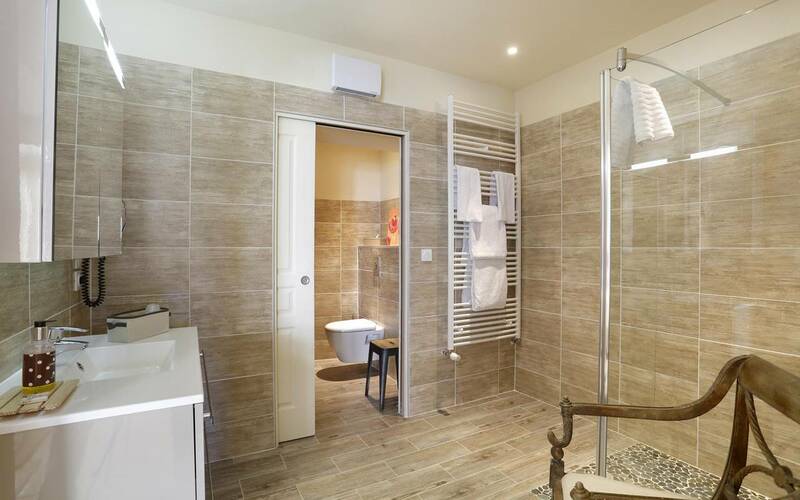 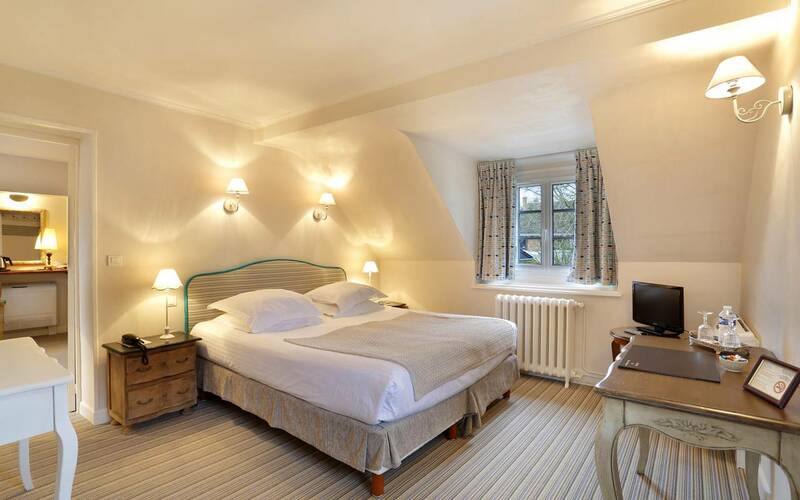 Each one boasts a country chic ambiance complete with soft tones and cosy comforts. 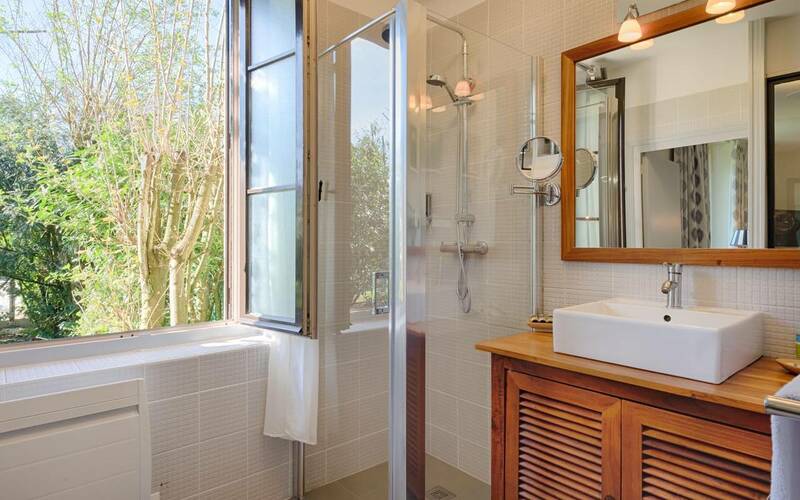 Guests will feel right at home whatever the season. 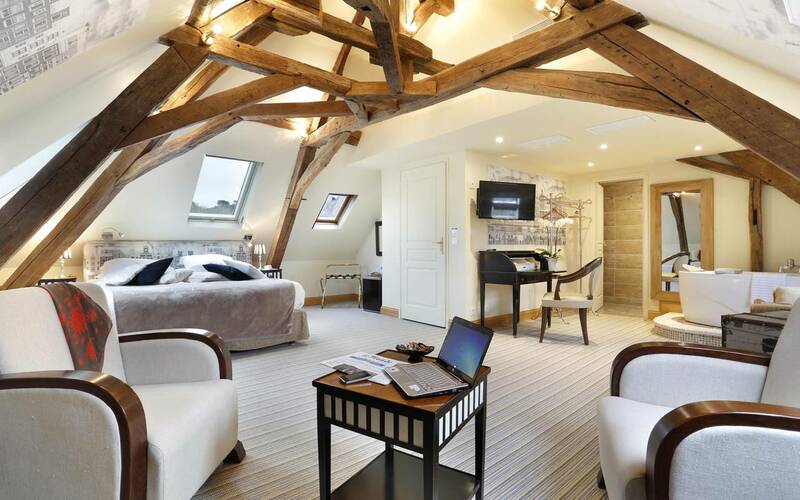 Pure luxury in simplicity! 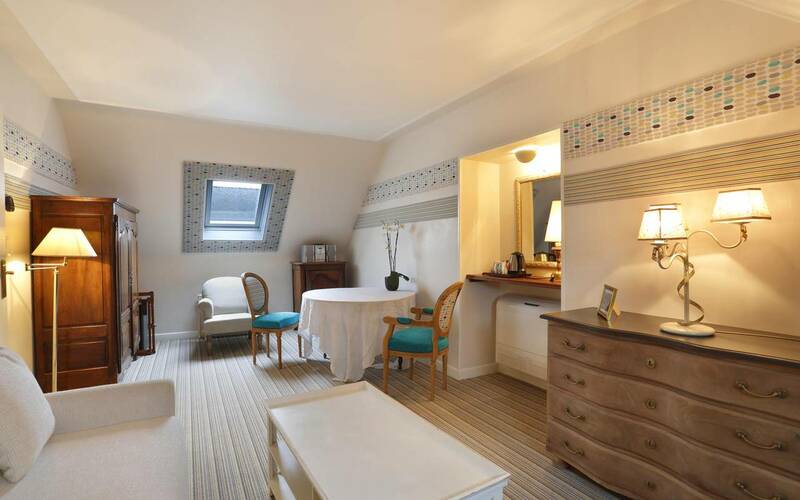 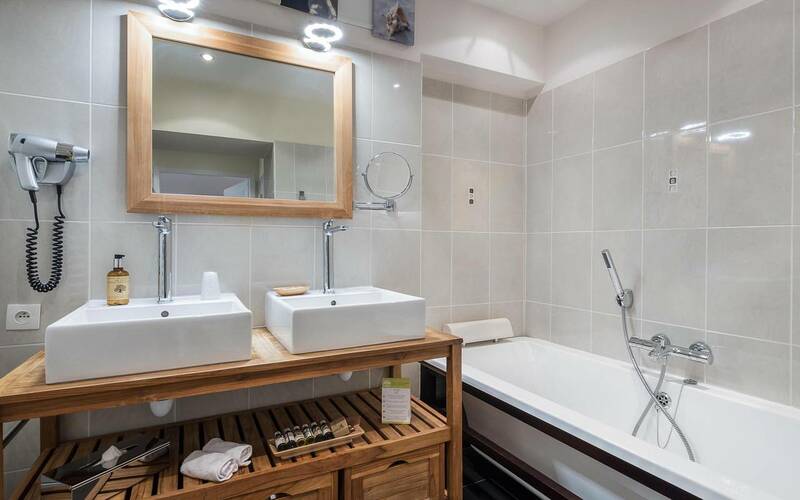 The hotel has two suites for people with reduced mobility. 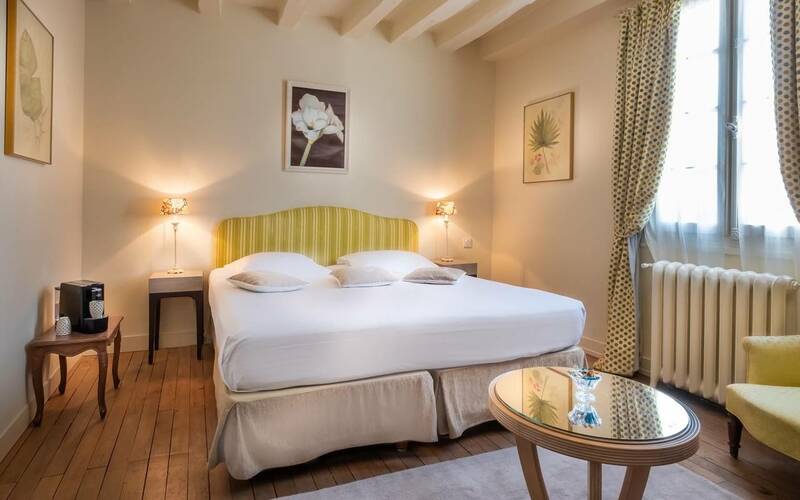 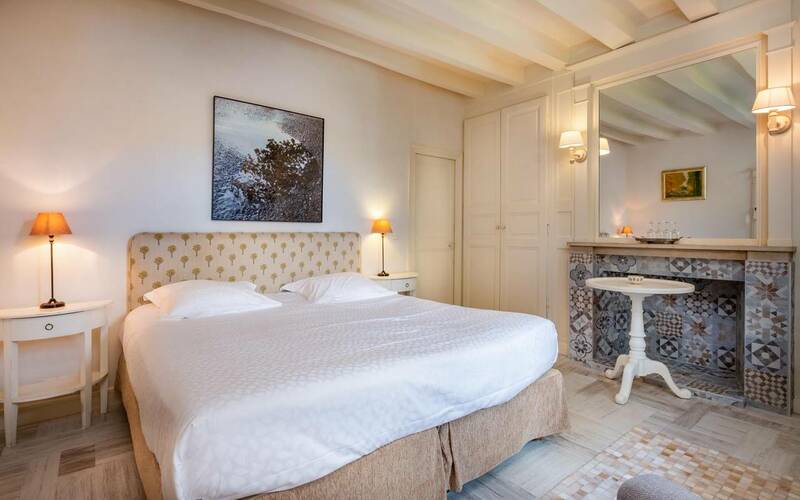 The hotel boasts 18 rooms and 9 suites across five village houses, nestled among blooming gardens and flower-lined courtyards surrounded by low stone walls. 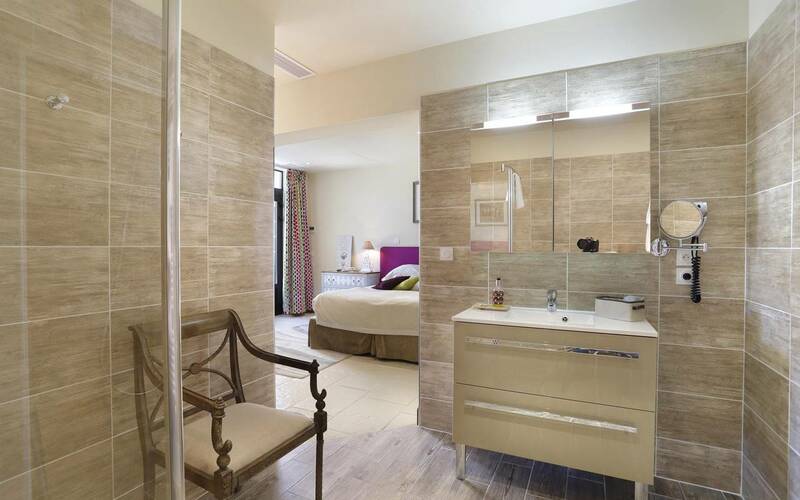 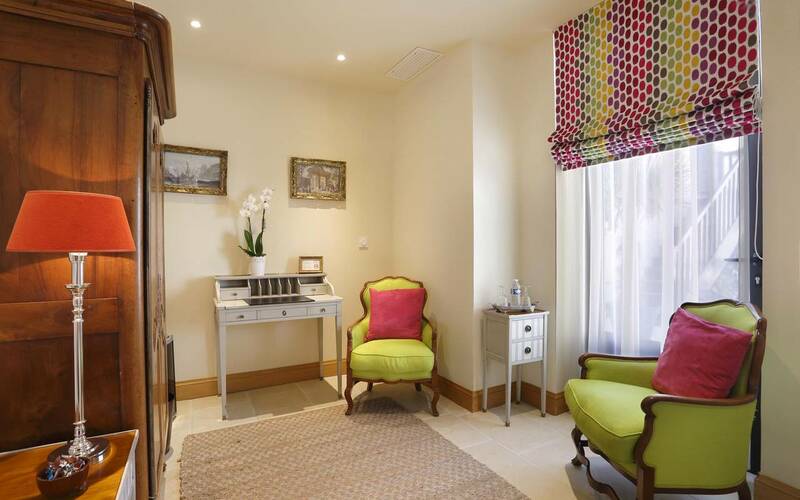 Although our rooms and suites are divided into three categories – “Charm”, “Privilege” and “Suites” – each one is different. 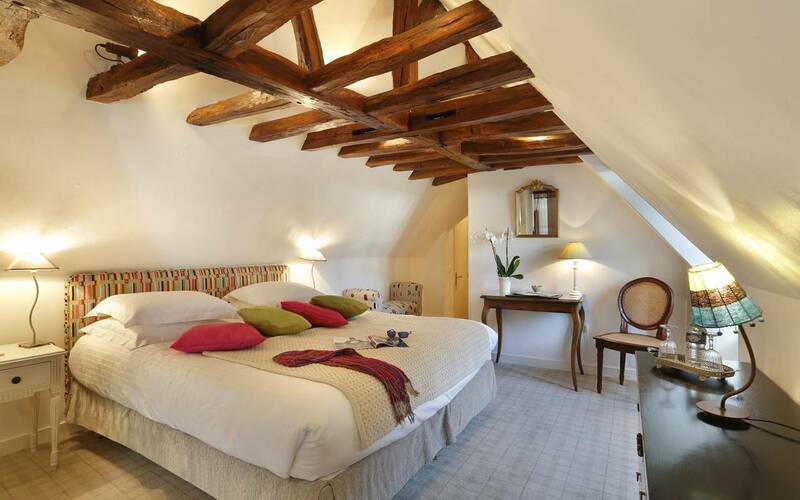 All offer the same simple luxury and harmony – a blend of charm, tradition and comfort. 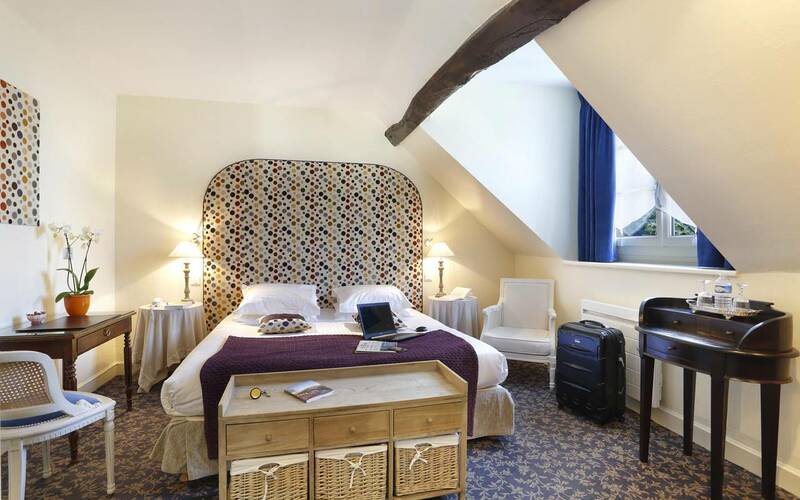 Room service: we offer room service to ensure you get the very best out of your stay.